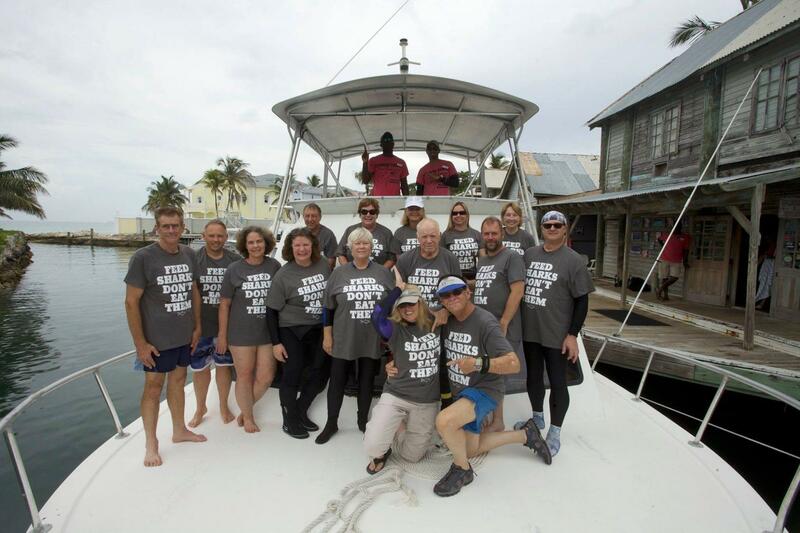 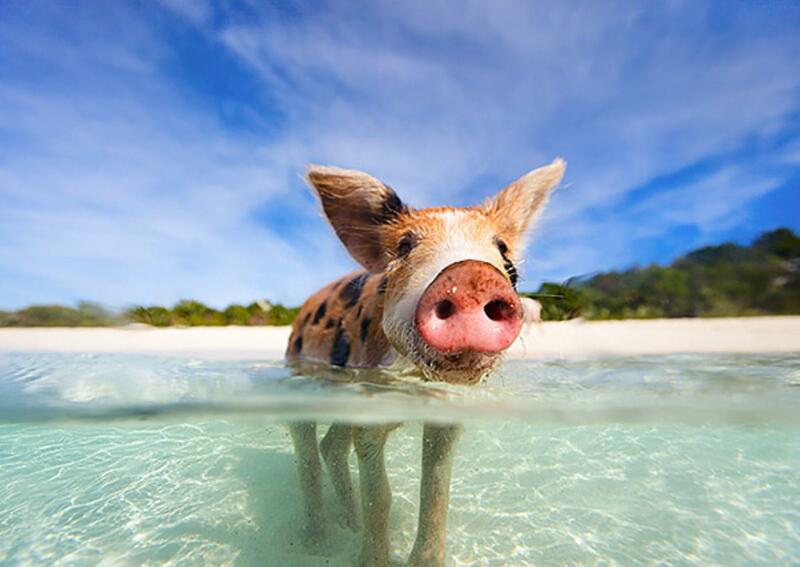 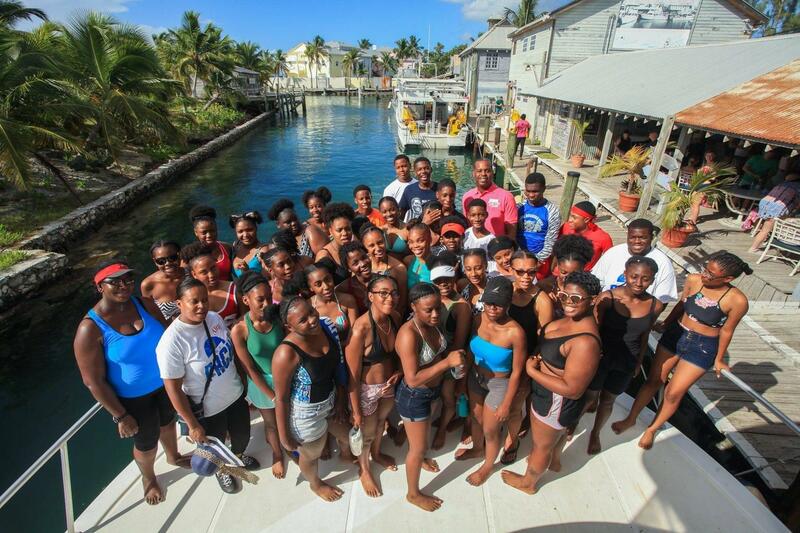 Head to Big Majors Cay for a memorable day with the legendary Bahamian swimming pigs! 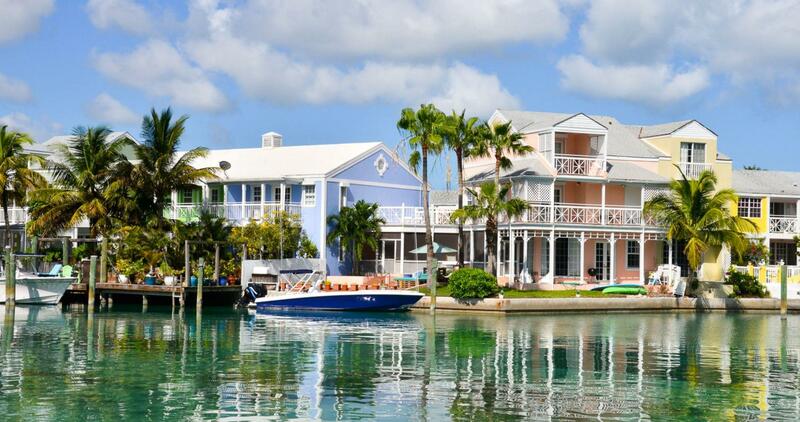 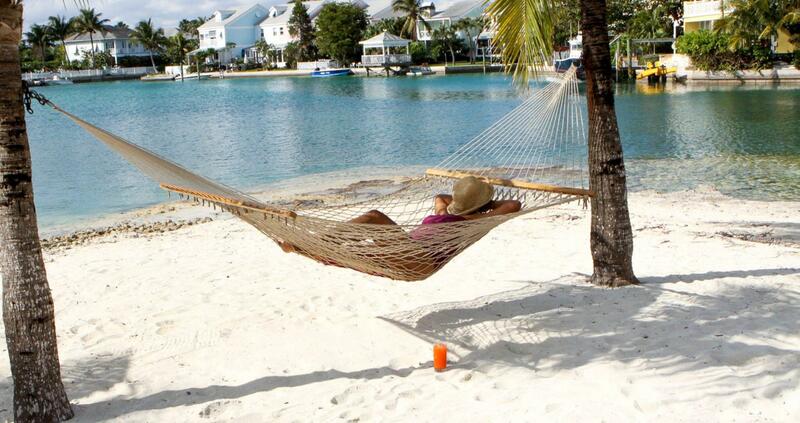 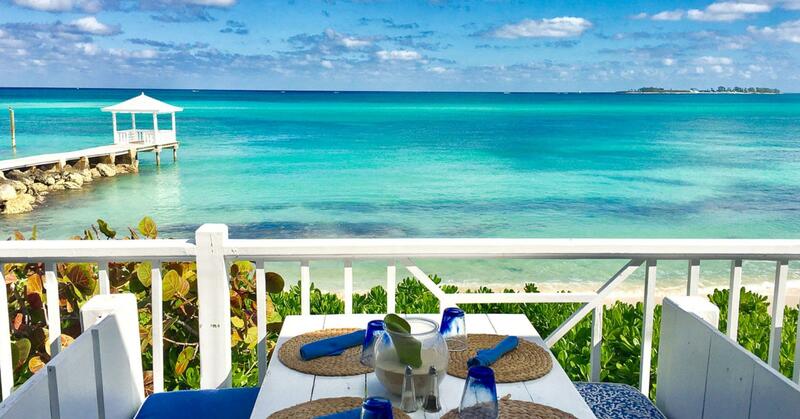 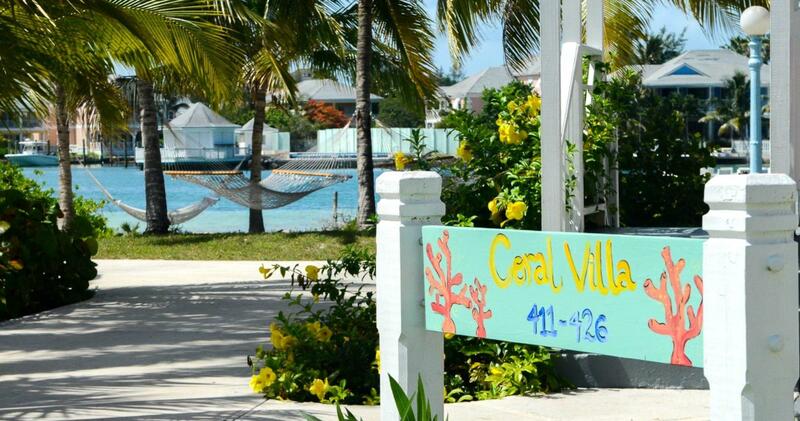 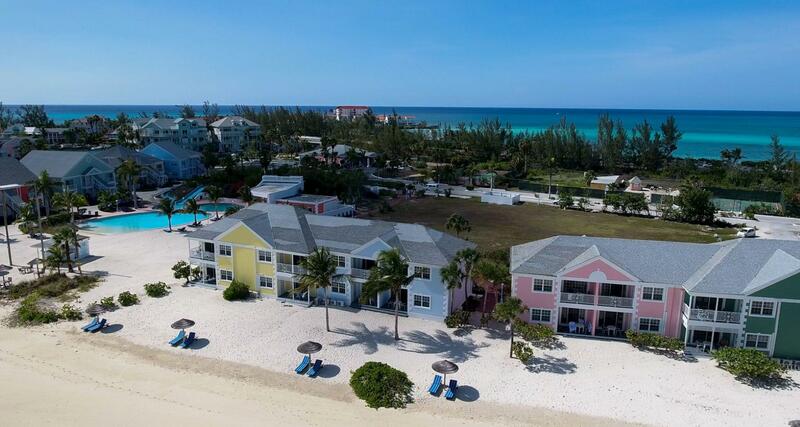 Sandyport Beach Resort is a boutique beach resort in Nassau offering an ideal blend of exciting Bahamian activities and peaceful accomodation. 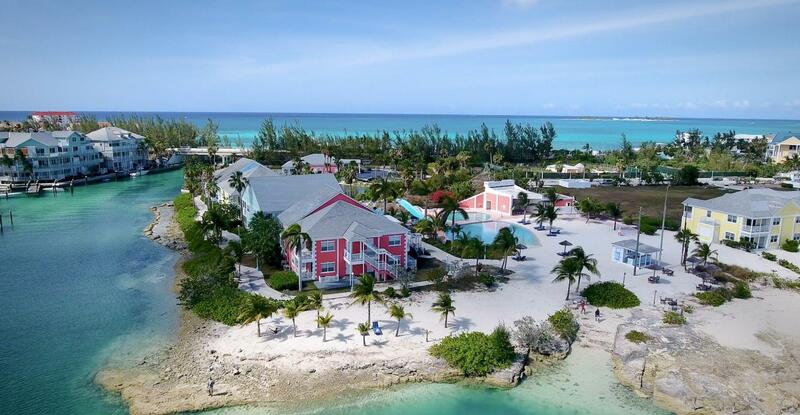 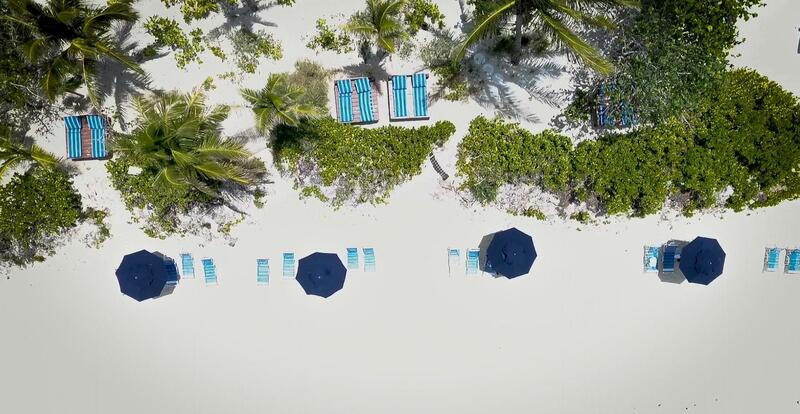 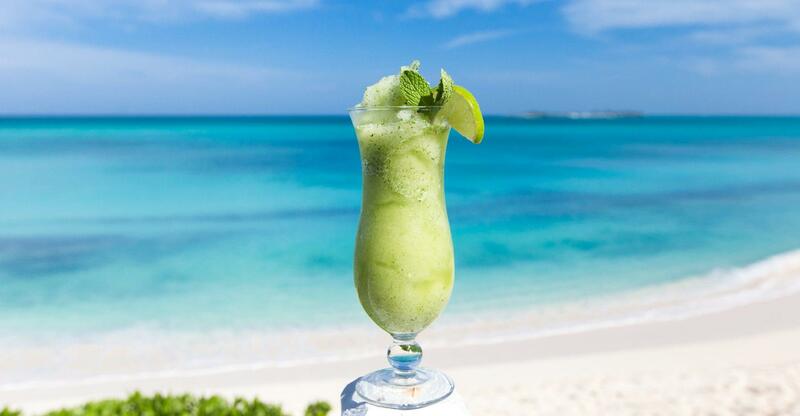 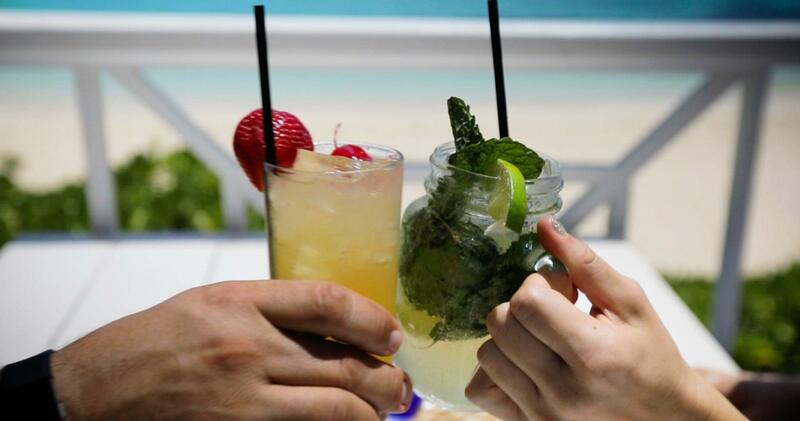 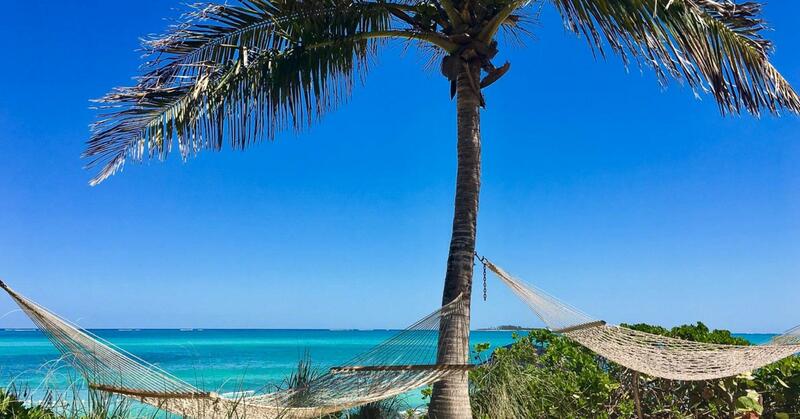 Described as 'one of the best boutique hotels in the Bahamas' by Travel + Leisure Magazine, this resort is ideal for couples, friends and families looking for a comfortable, calm base from which to explore Nassau. 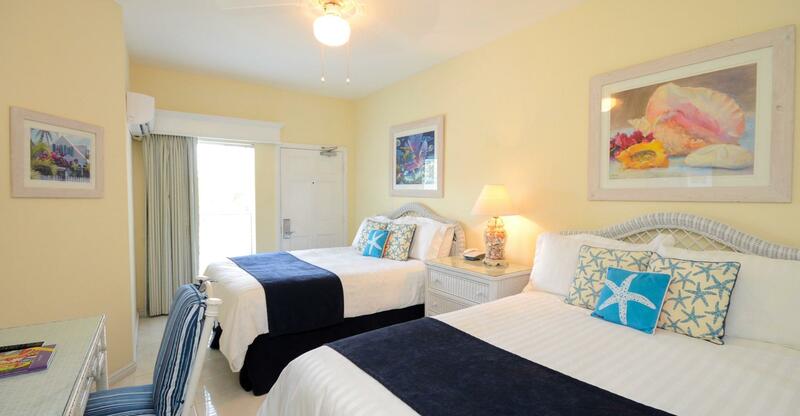 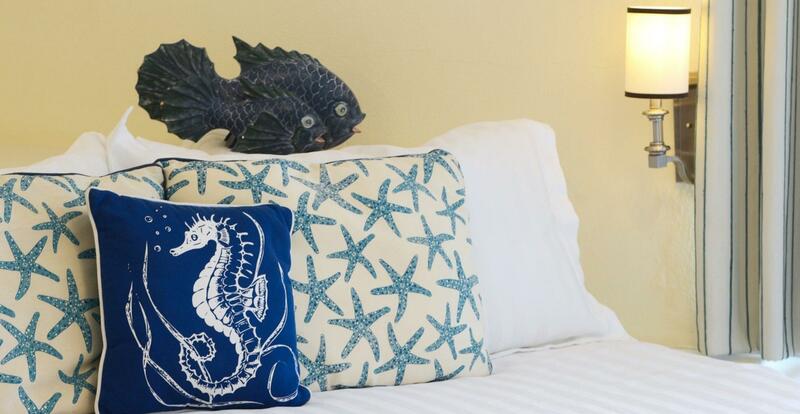 The resort offers modern, fresh rooms with minimalist furnishings and beach-inspired decor. 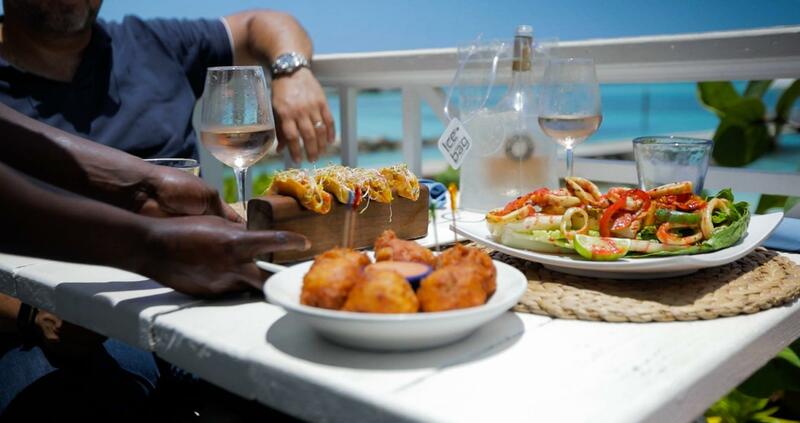 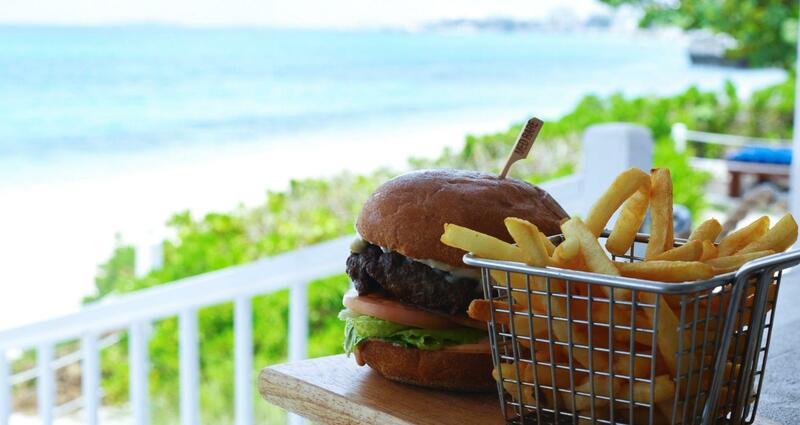 Food-lovers will appreciate the eight restaurants, bars and cafes available on the beach, over the water and within the resort in an air-conditioned setting. 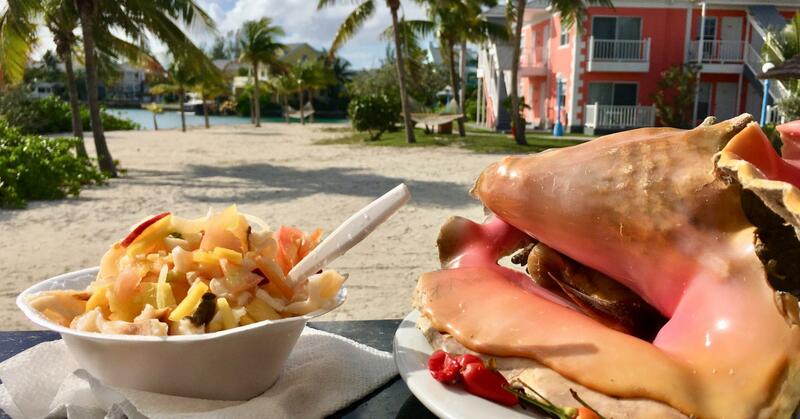 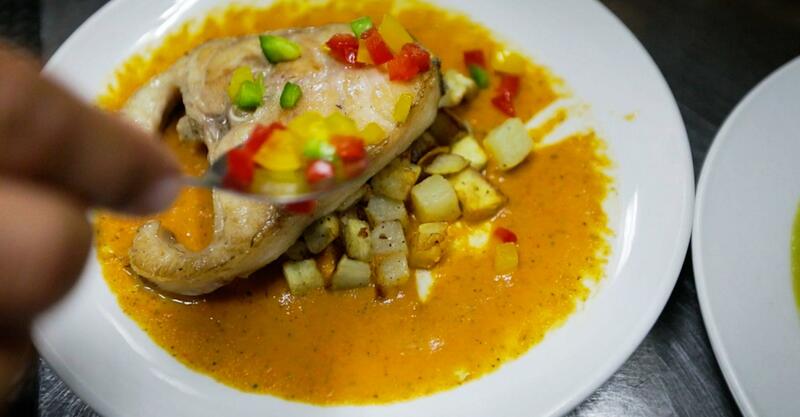 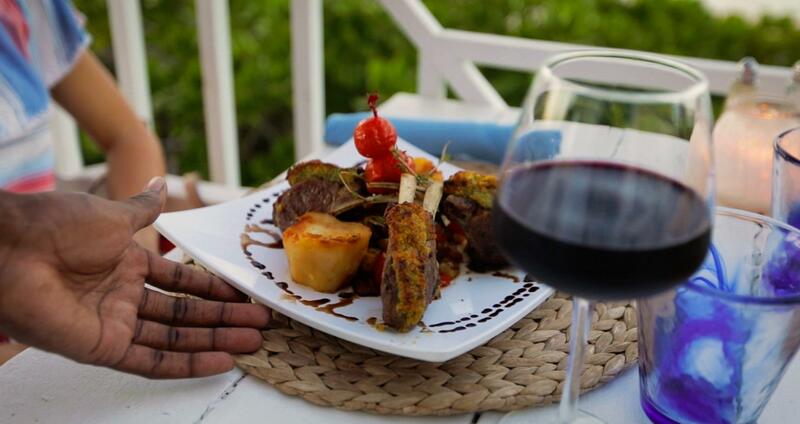 Dine on conch salad, grilled mahi-mahi, fresh pizzas from the stone-fire oven and more! 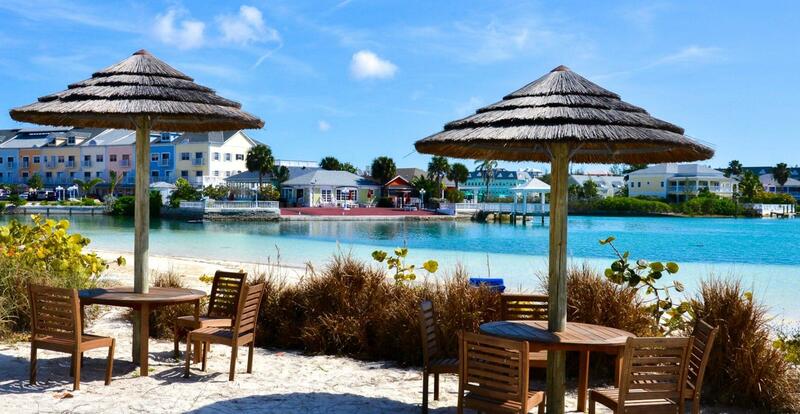 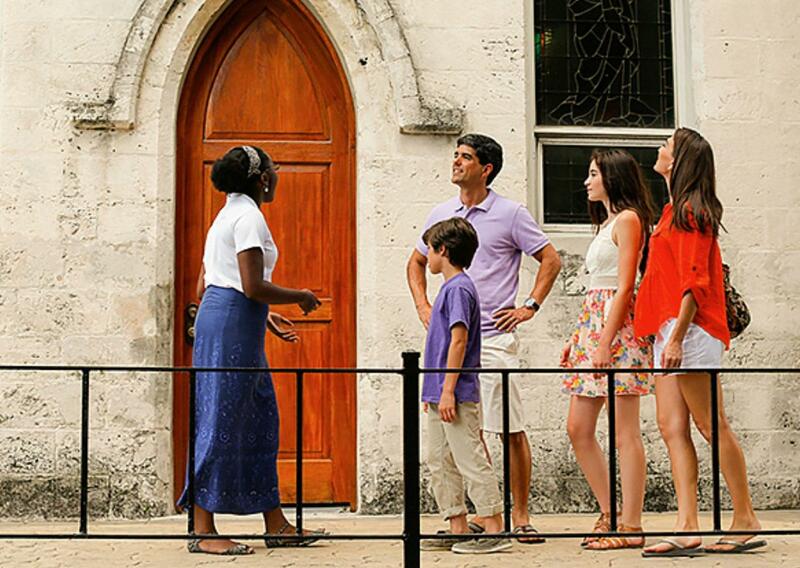 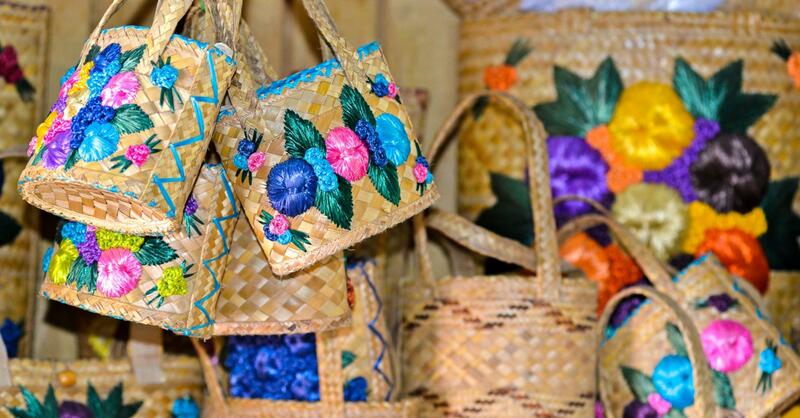 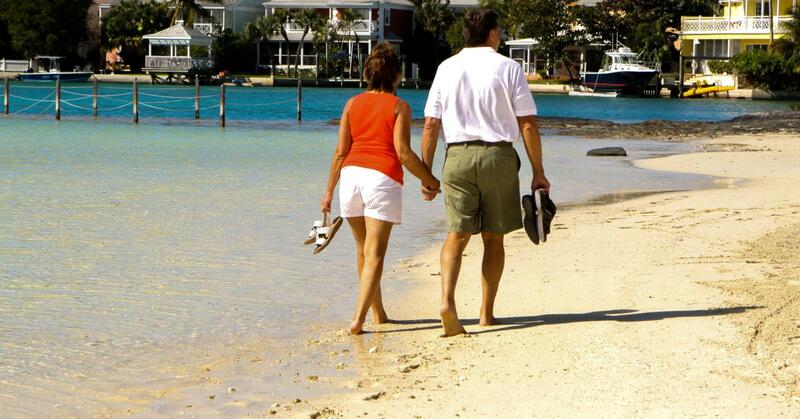 Nassau offers a world of activities and adventures to suit everyone. 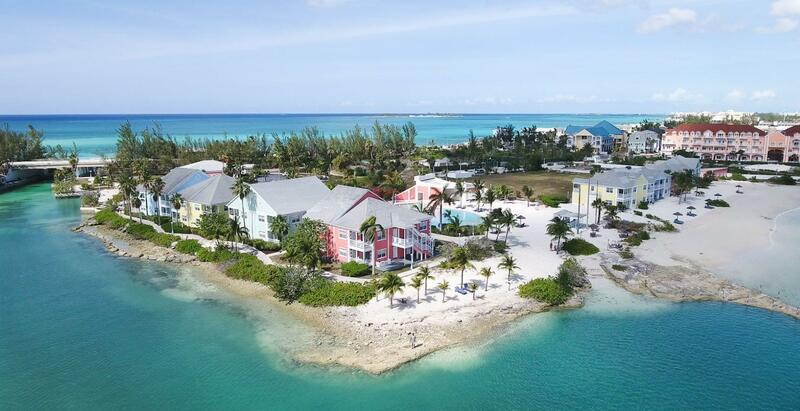 The young at heart will love Atlantis' Aquaventure Water Park, nature parks, painting classes and the chance to swim with dolphins - as well as the legendary Bahamian swimming pigs! 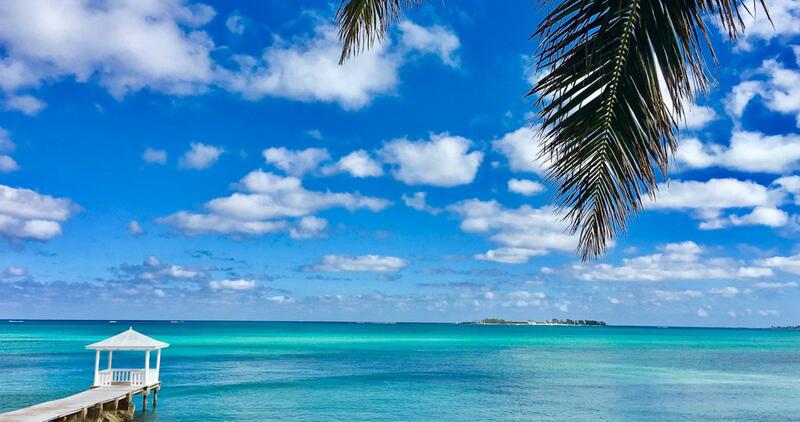 Adults can gamble at the casino, check out the local souvenir shops, explore local culture, go horseback riding on the beach and play golf on an award winning golf course by the ocean. 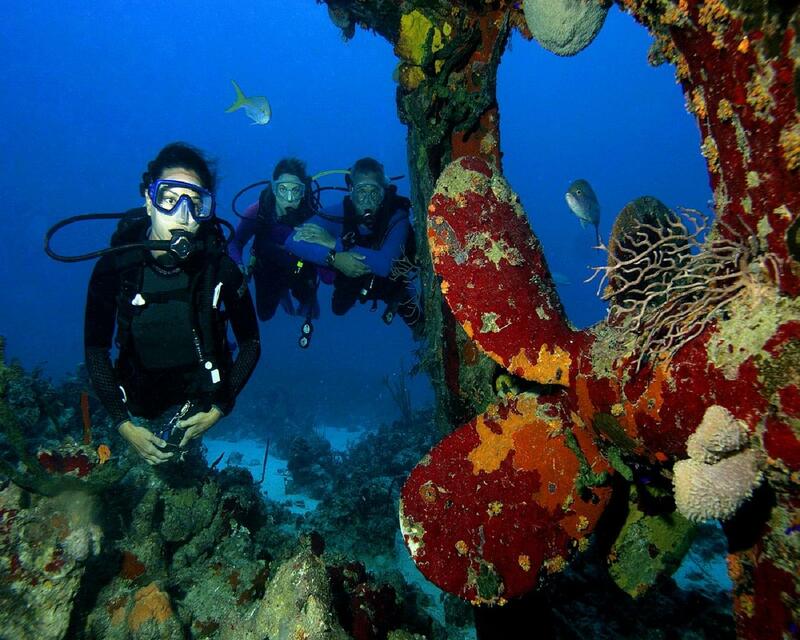 The walls and reefs on the southwest side of the island can be explored by Open Water and Advanced divers. 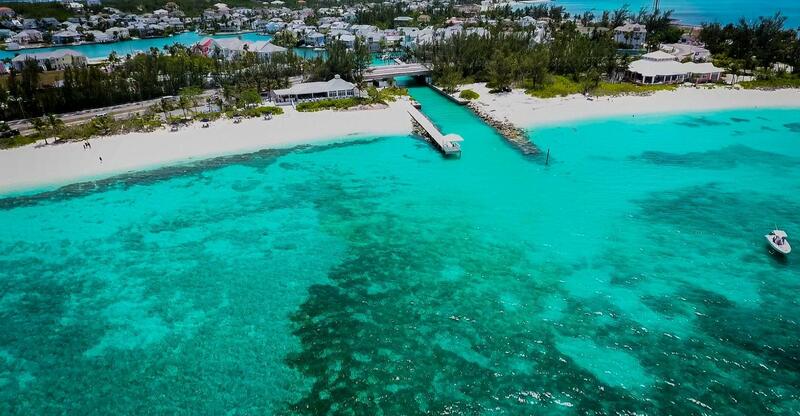 Popular sites are Goulding Cay Wall and Schoolhouse Reef. 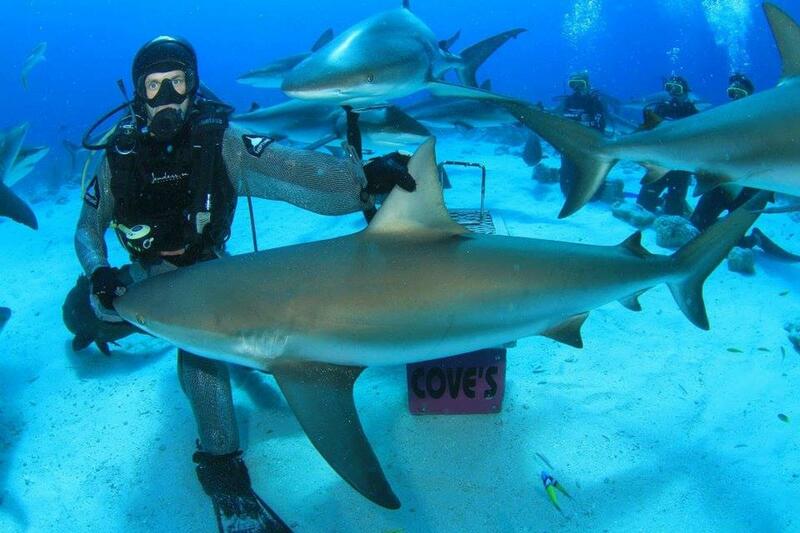 Shark Arena is a shallow dive with plenty of Caribbean reef sharks. 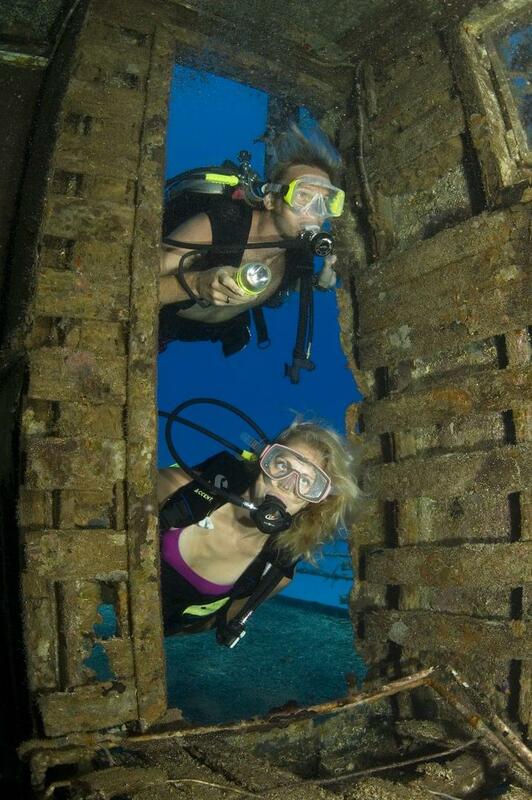 If you’d like to try wreck diving at New Providence, look for the Cessna Wreck, as well as the Sea Viking Wreck. 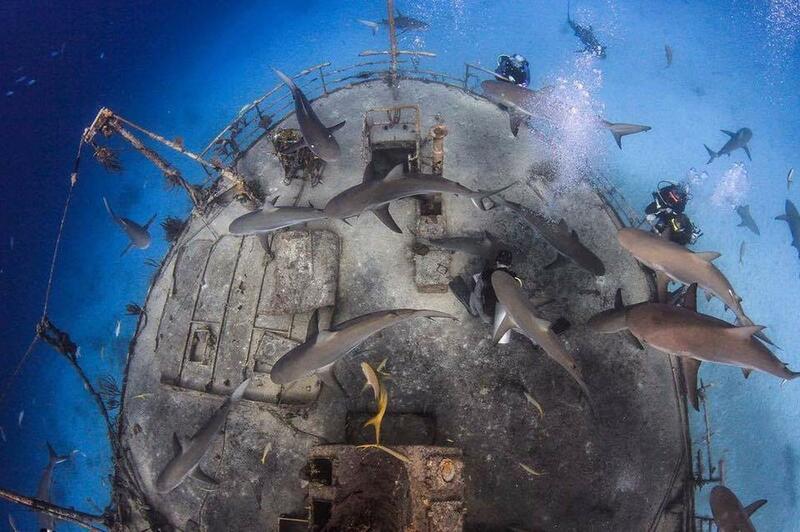 Shallower wrecks include the James Bond Wrecks and The Willaurie Wreck. 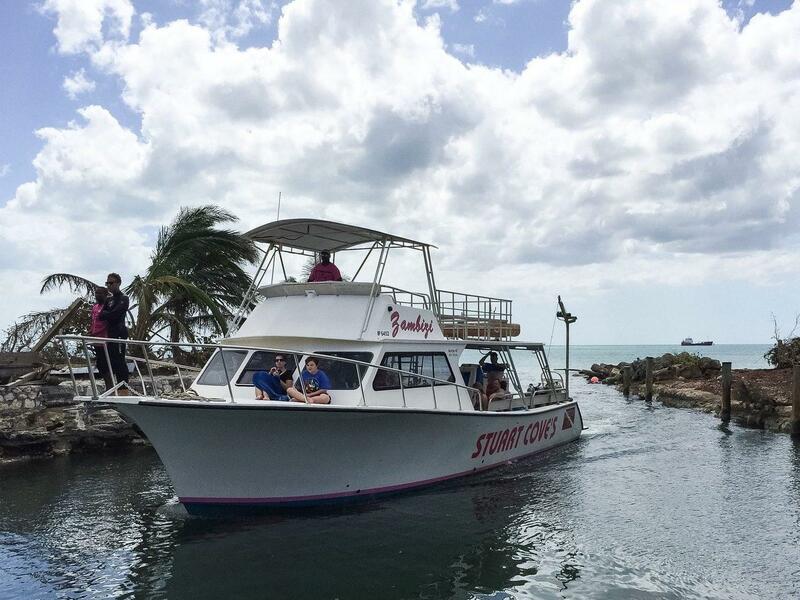 Tec divers will also enjoy exploring Lost Blue Hole, and Trinity Caves is a favorite of many daredevils. 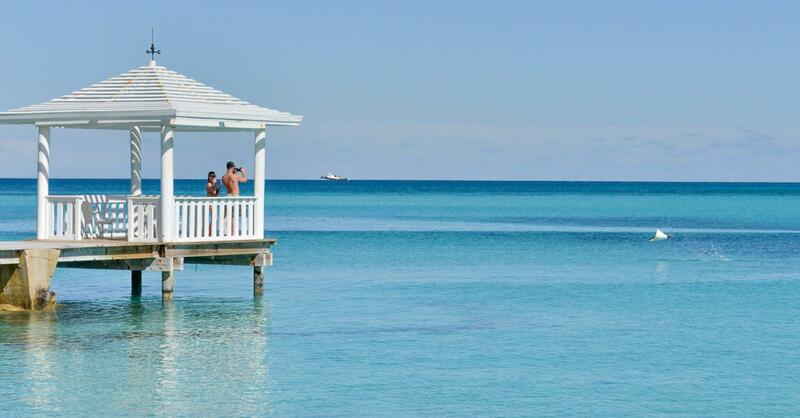 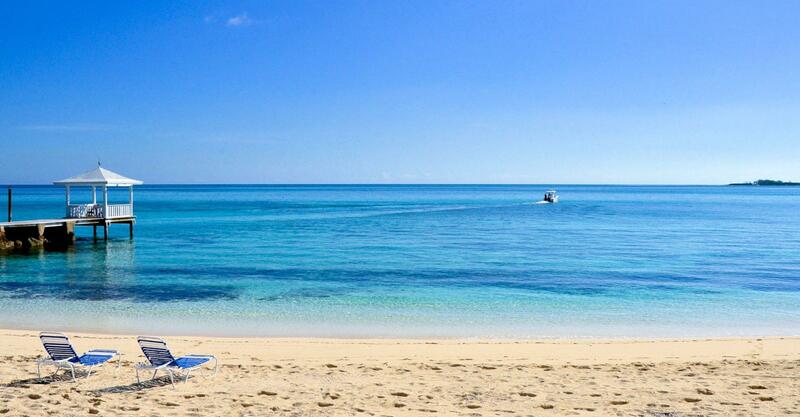 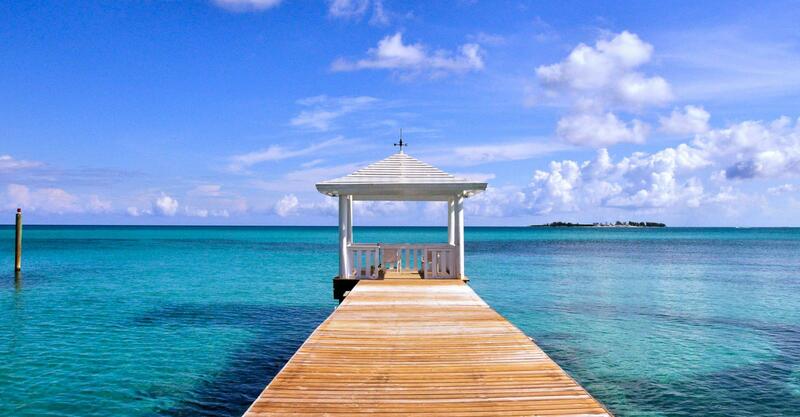 With clear and colorful waters, snorkeling around New Providence and Nassau is easy on the eyes. 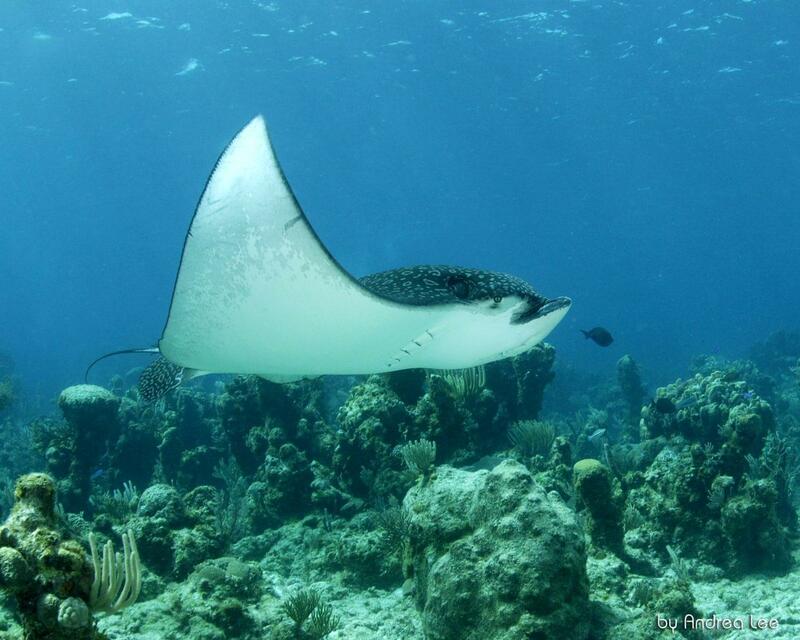 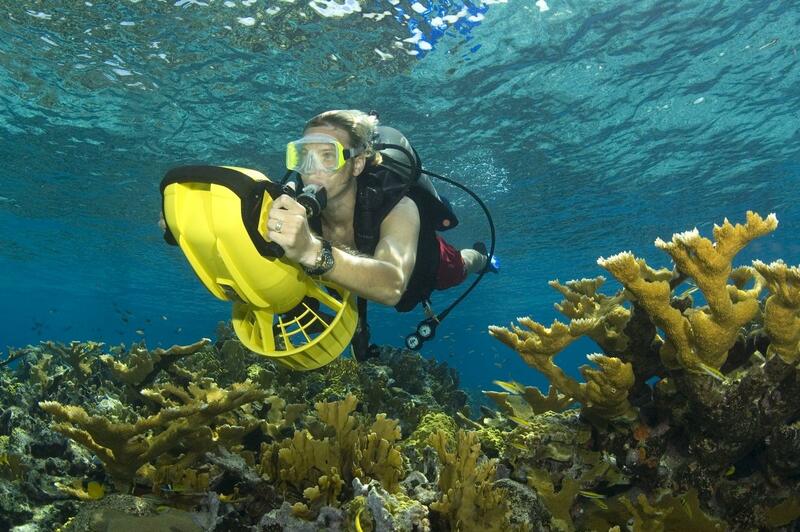 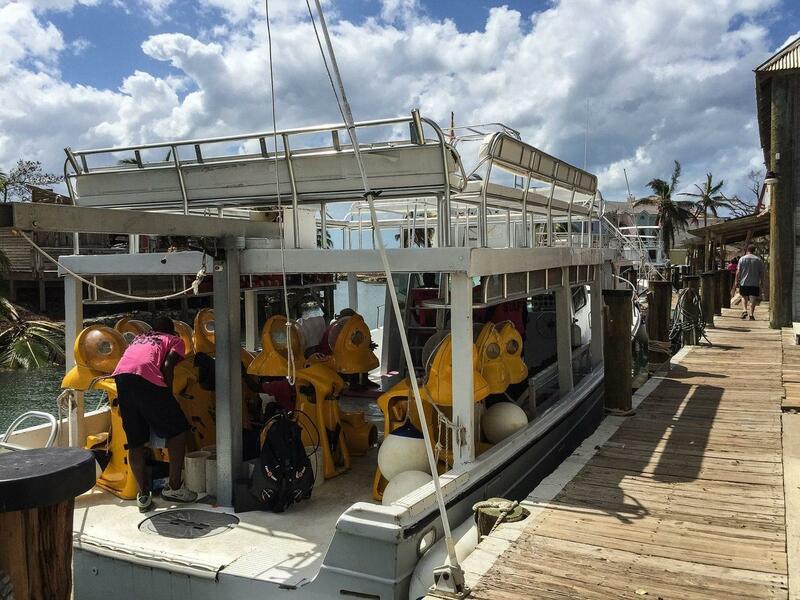 You’re sure to find plenty of dive operators willing to take you out on a day-long excursion. 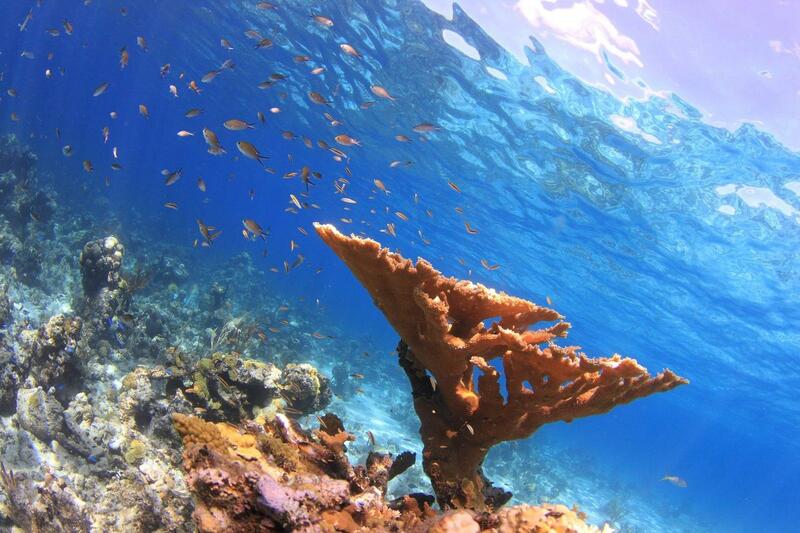 A few of the best destinations for such trips are Goulding Cay, Gambier Deep Reef and Rose Island Reef. 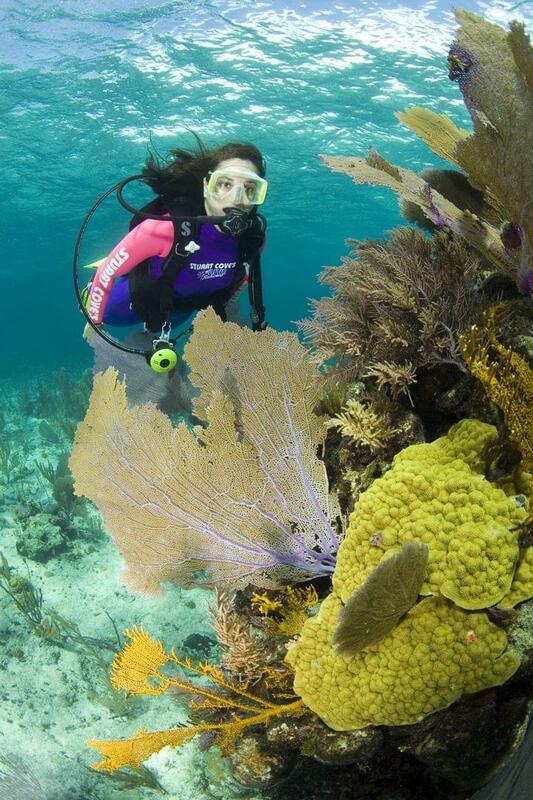 While not as colorful, it’s also possible to rent snorkel gear and create your own snorkeling trip from several of the island’s beaches. 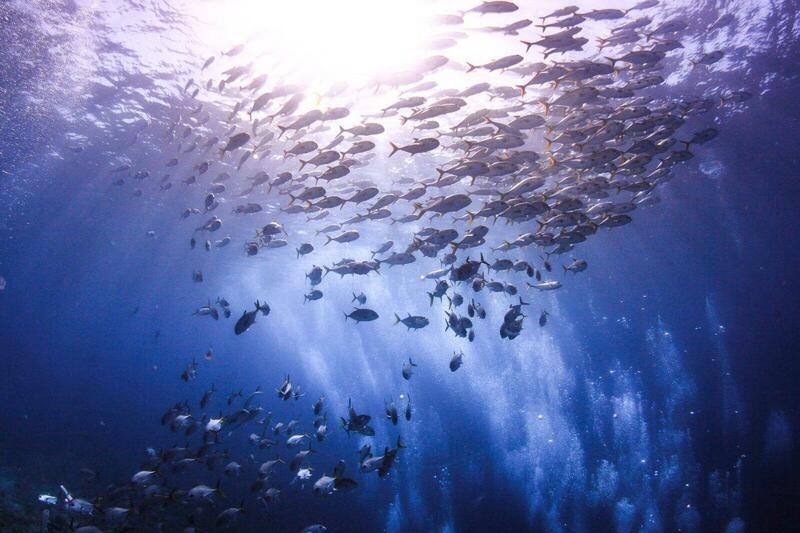 An endless array of marine life make their home in these waters. 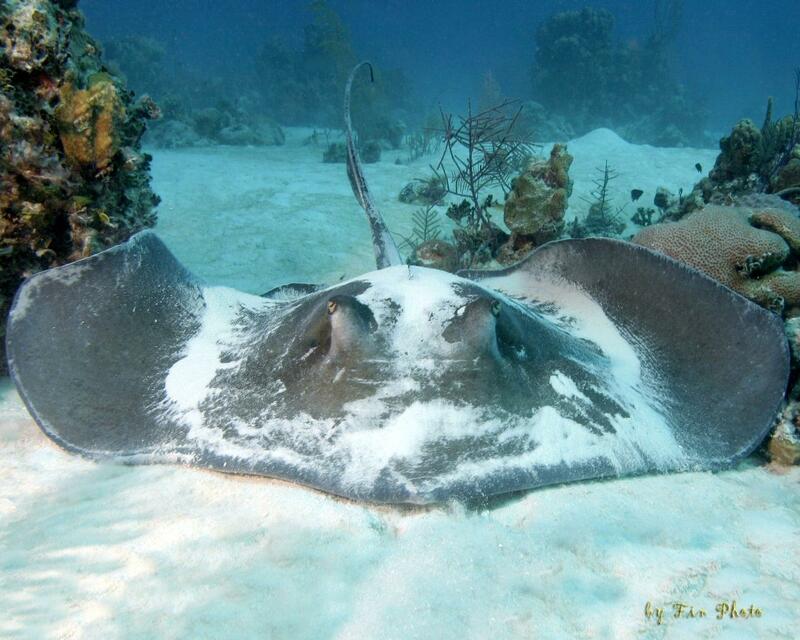 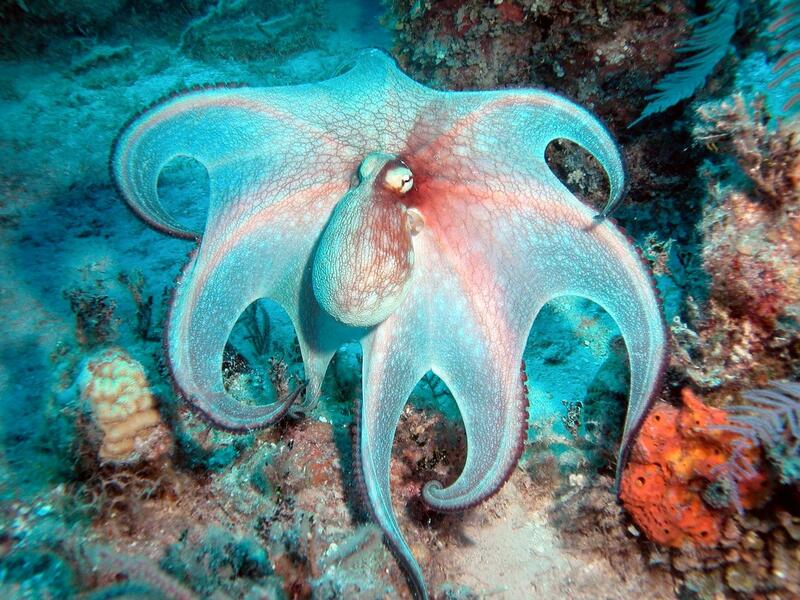 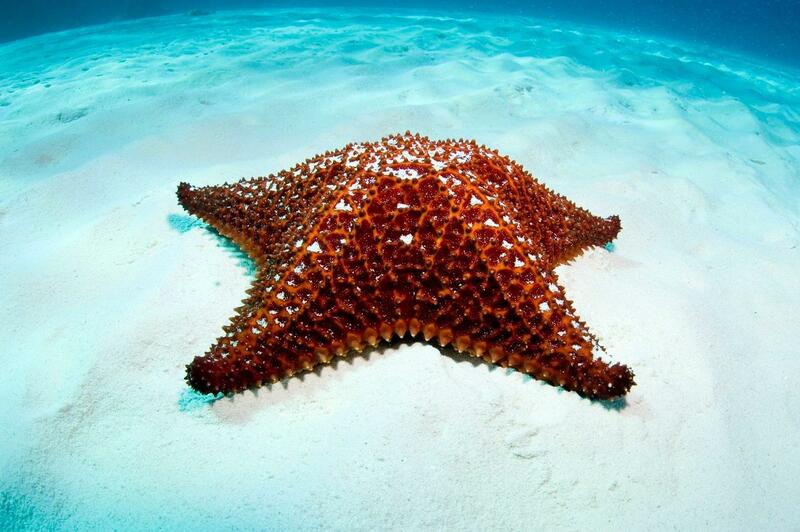 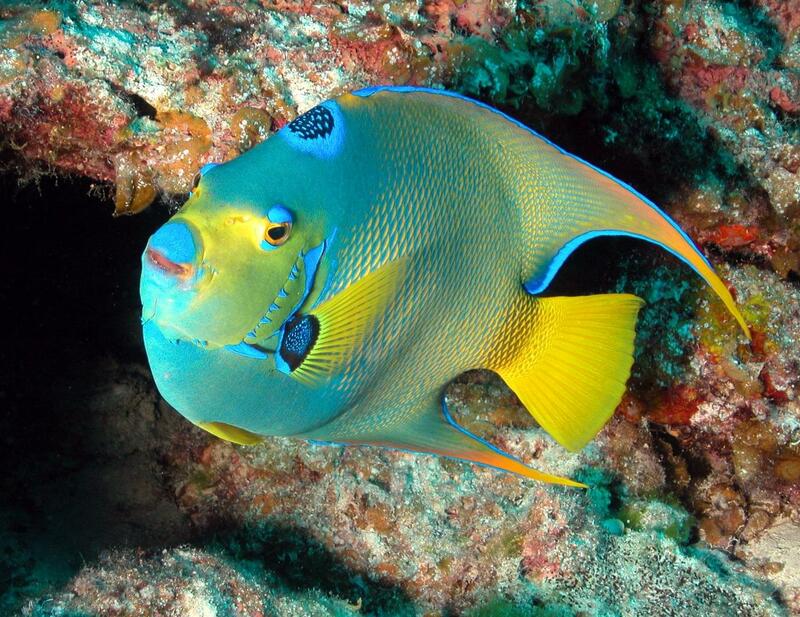 There are small creatures like the Bahama sea star, blue tang, snapper, sea bass, squid, spiny lobster, queen conch, angelfish flounder, butterfly fish and octopus. 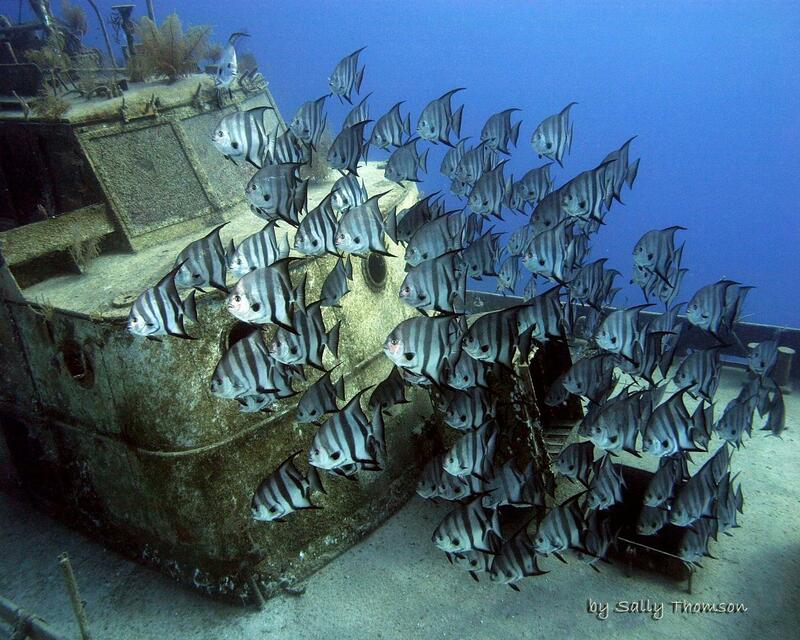 Schools of silversides prefer the cover of Nassau’s many wrecks. 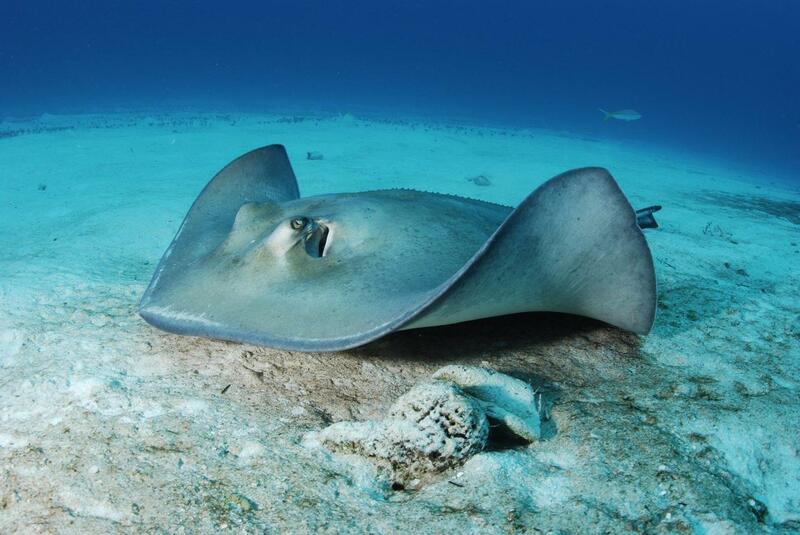 Nassau grouper and sea turtles swim among the healthy coral reefs, and stingrays camouflage themselves on the sandy bottom. 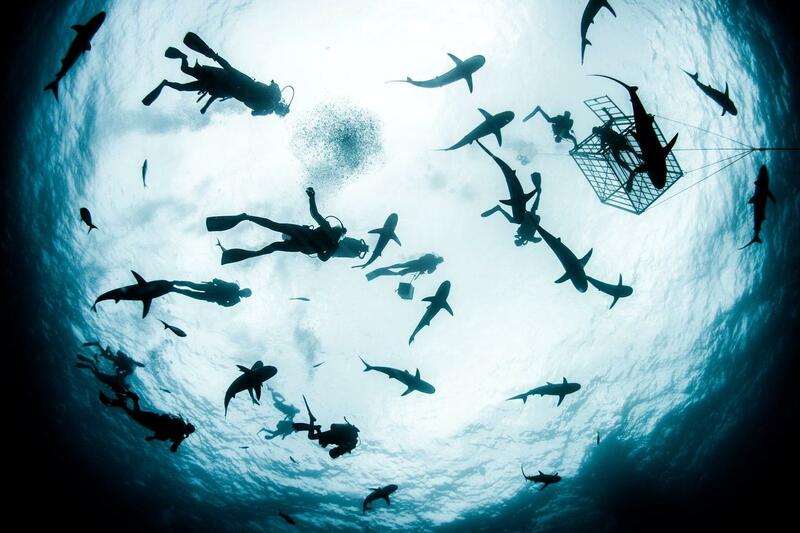 There are also huge animals, including an impressive array of sharks. 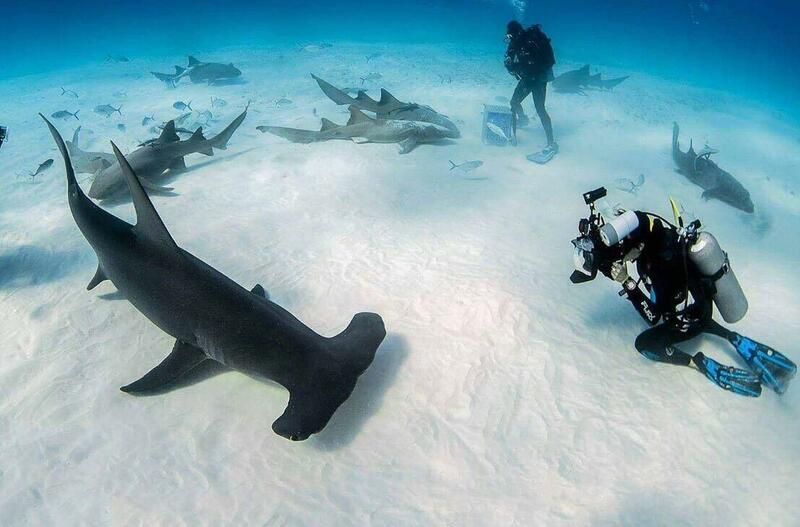 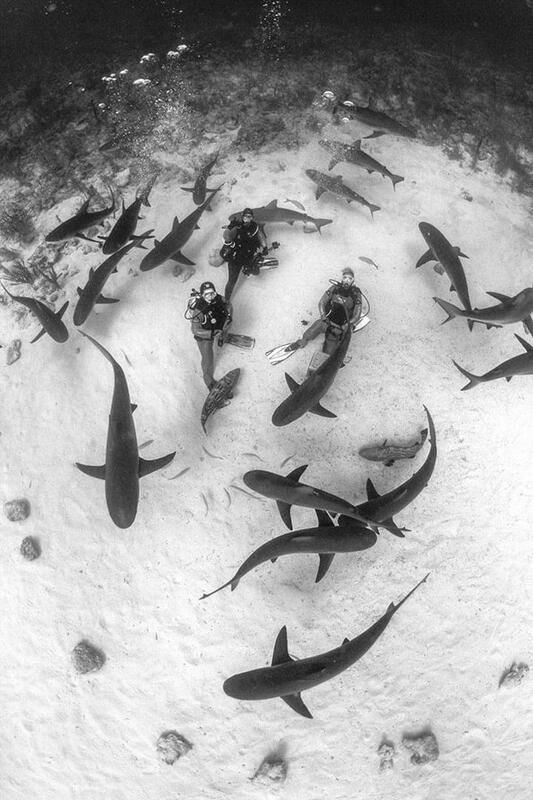 Caribbean reef sharks and silky sharks are common visitors. 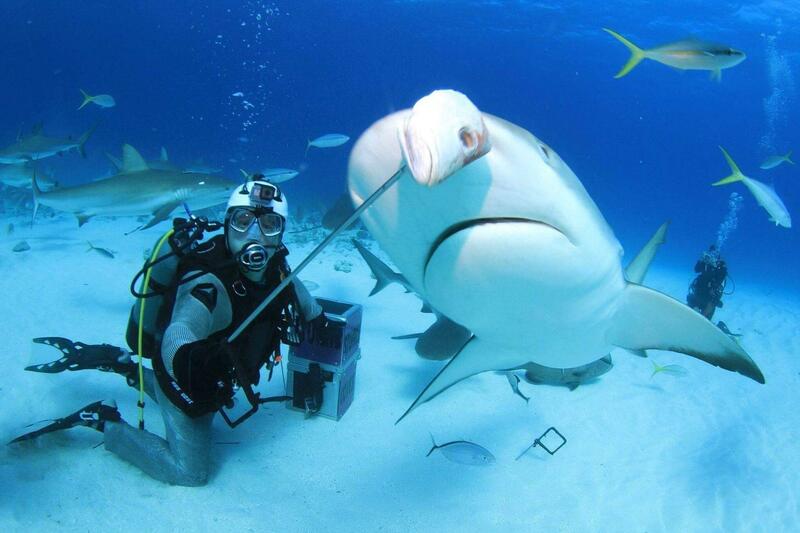 The occasional tiger shark wanders by. 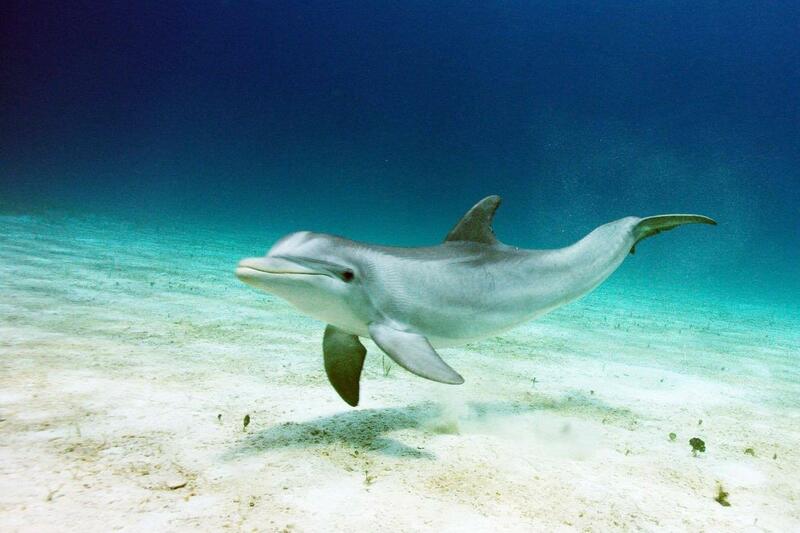 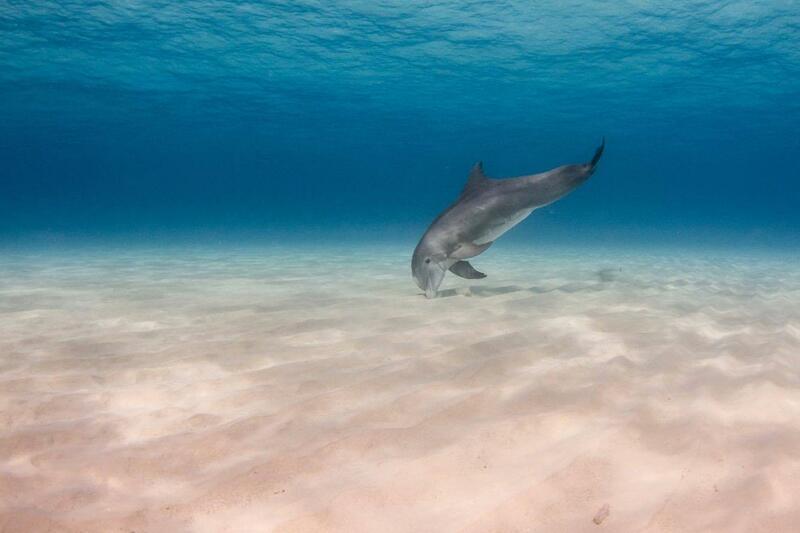 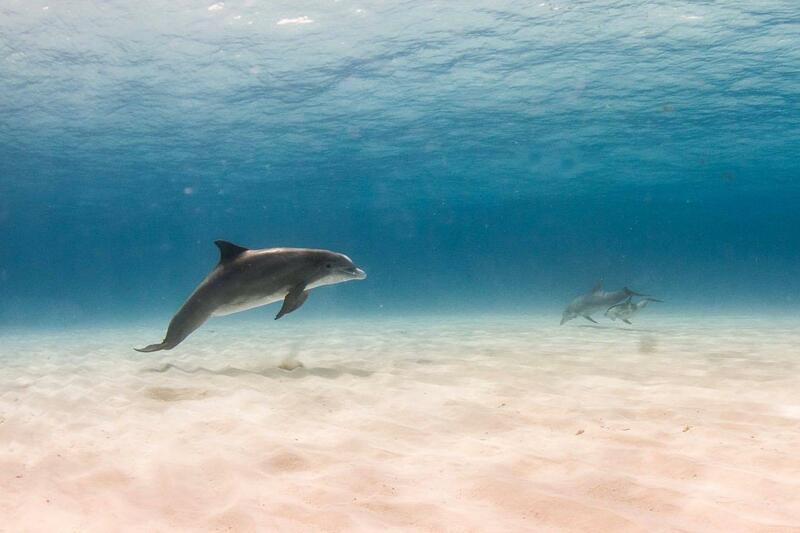 Keep a lookout for dolphins, as well, frolicking just offshore. 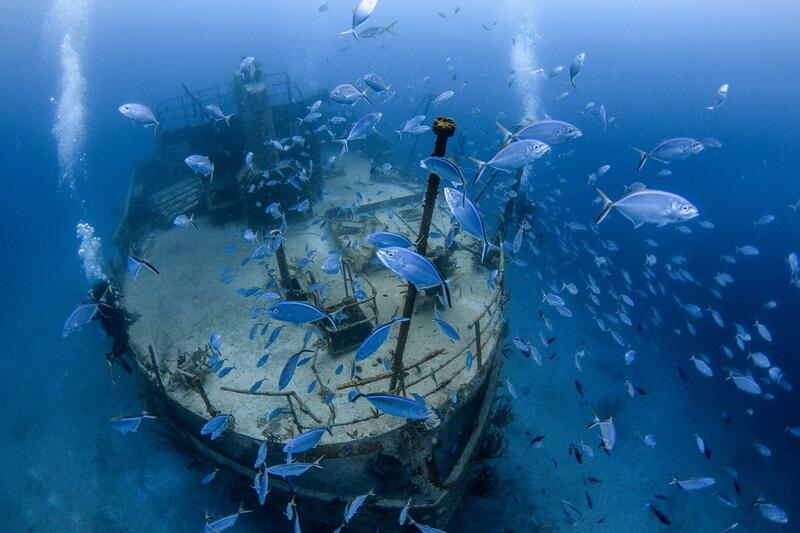 Lots of wrecks to explore, including a plane! 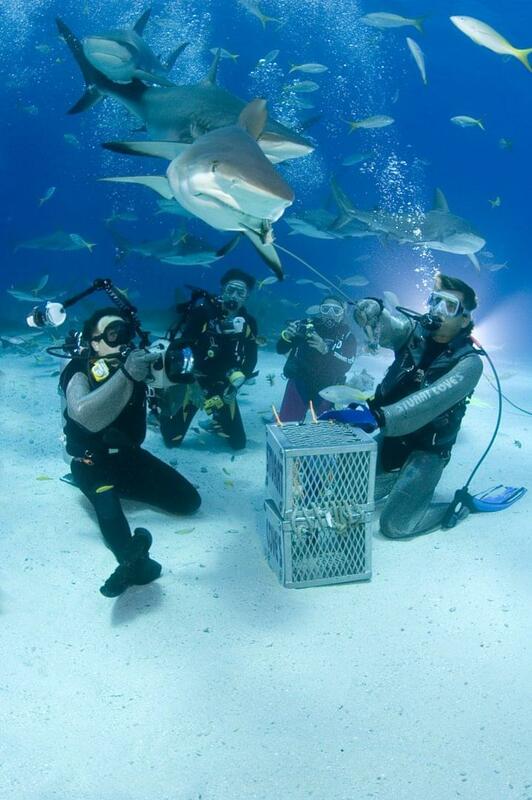 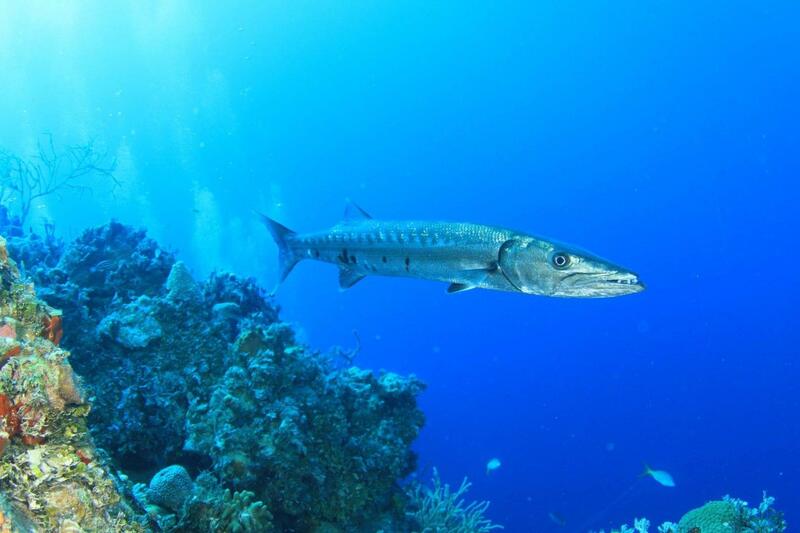 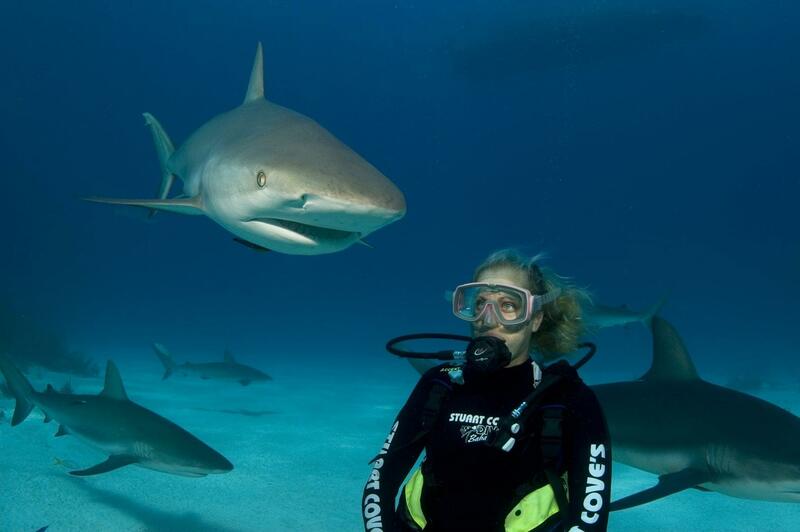 Special adventure dives, including the chance to see sharks! 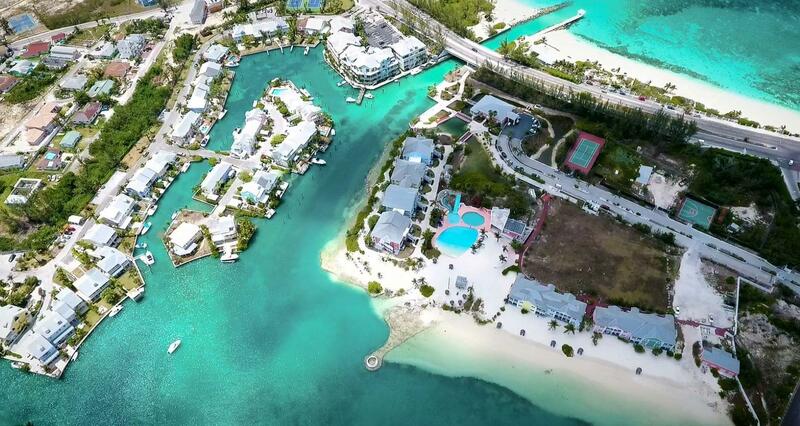 Stuart Cove's Dive Bahamas is Nassau's leading full-service dive operation, originally opened in 1978 and now boasting seven dive vessels, five of which are over 40 feet in length. 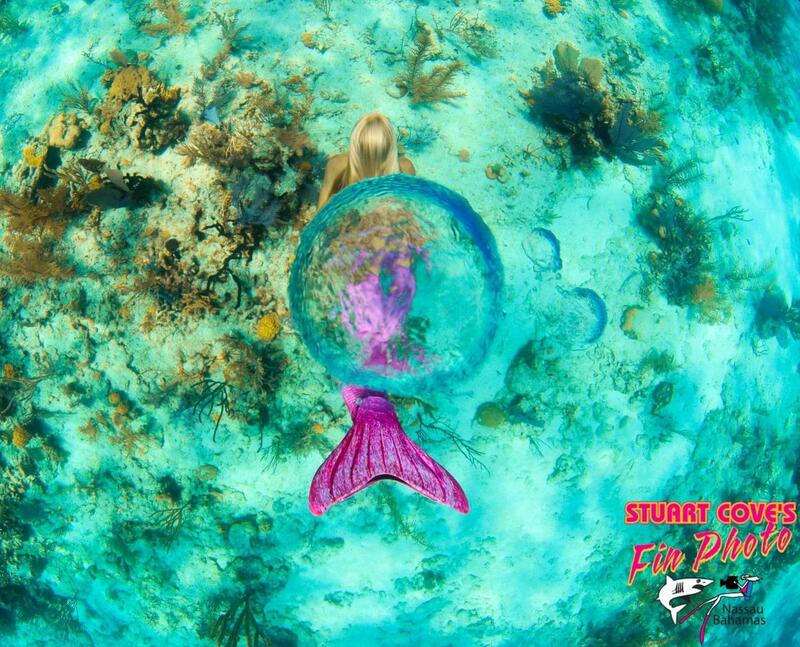 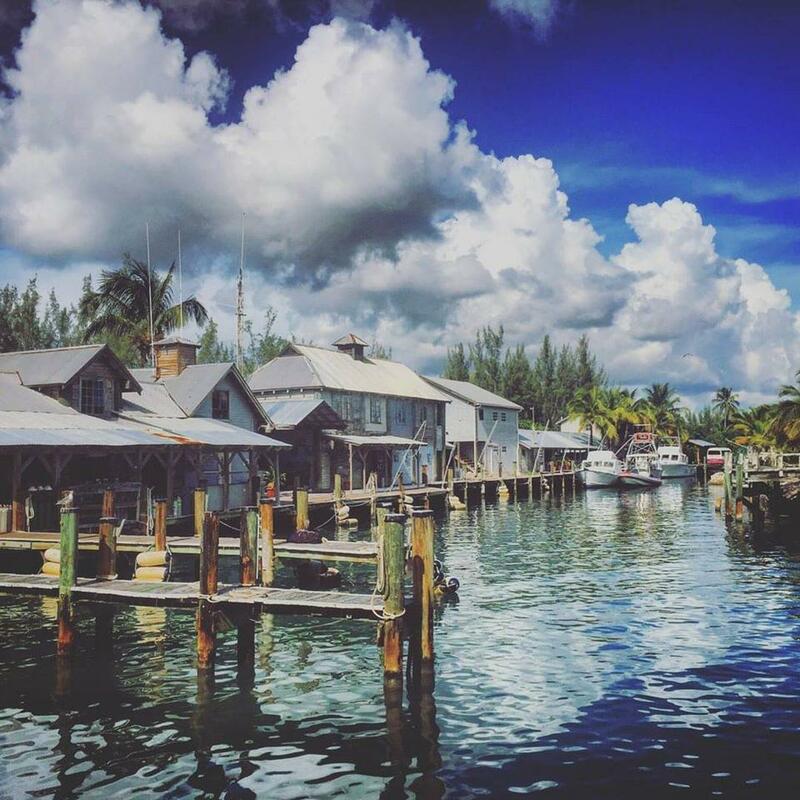 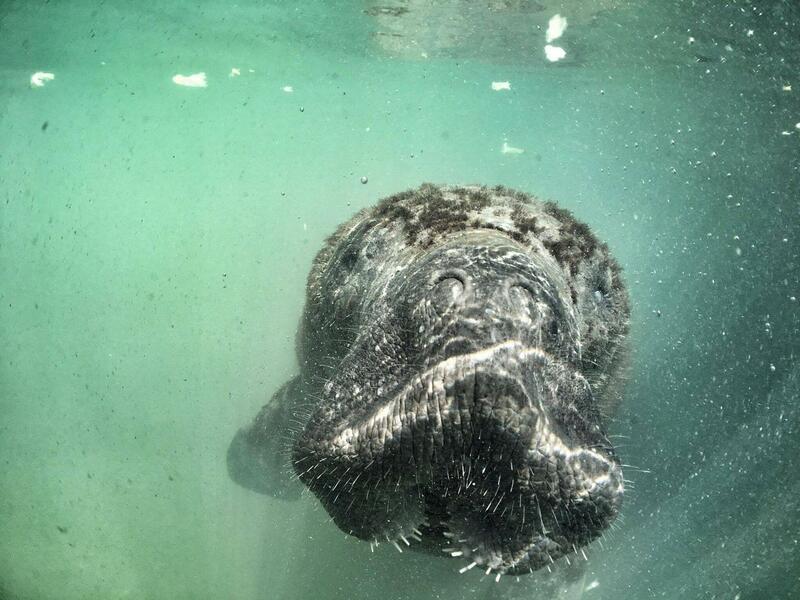 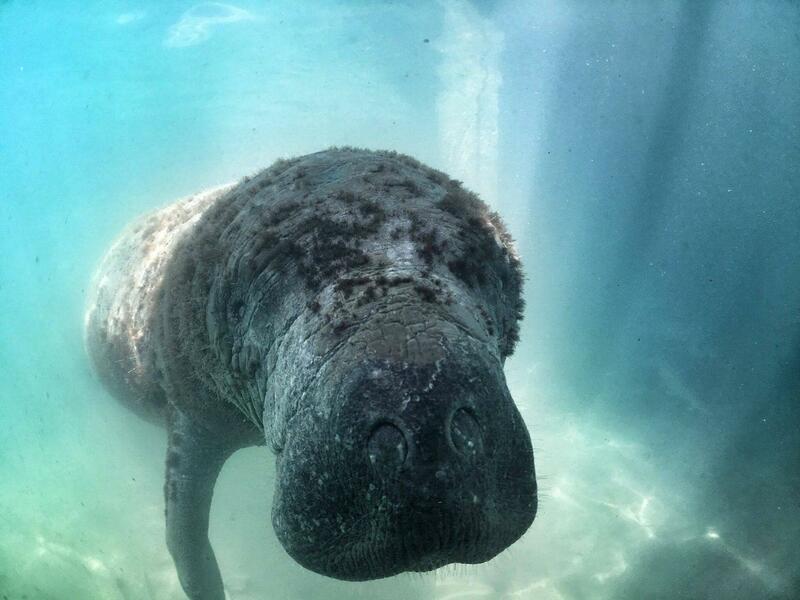 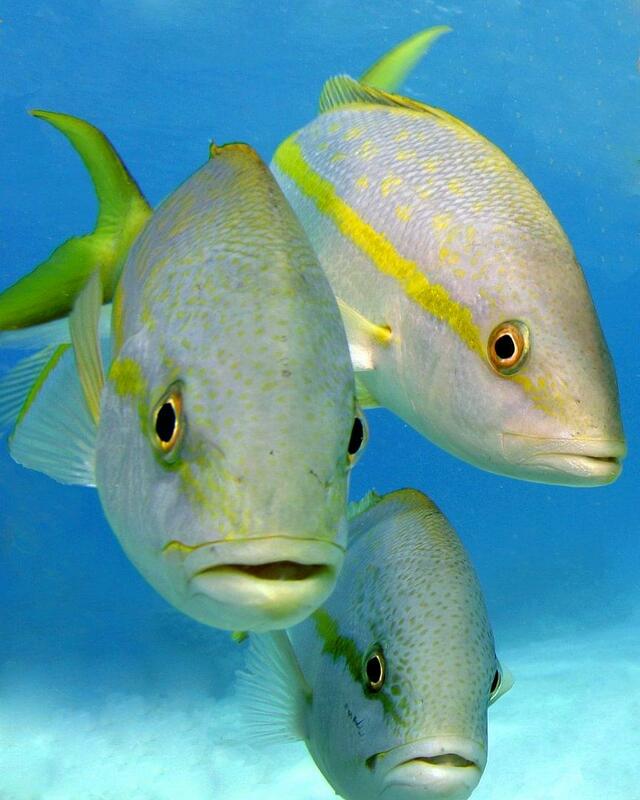 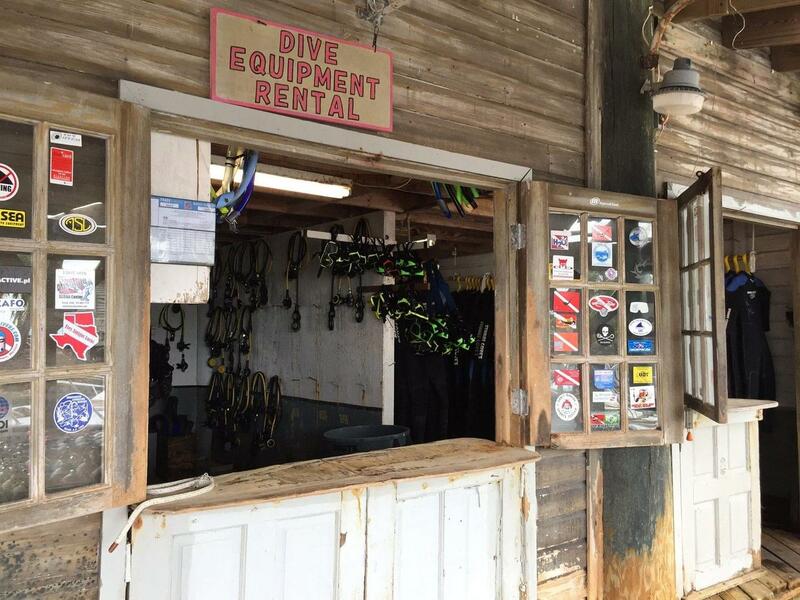 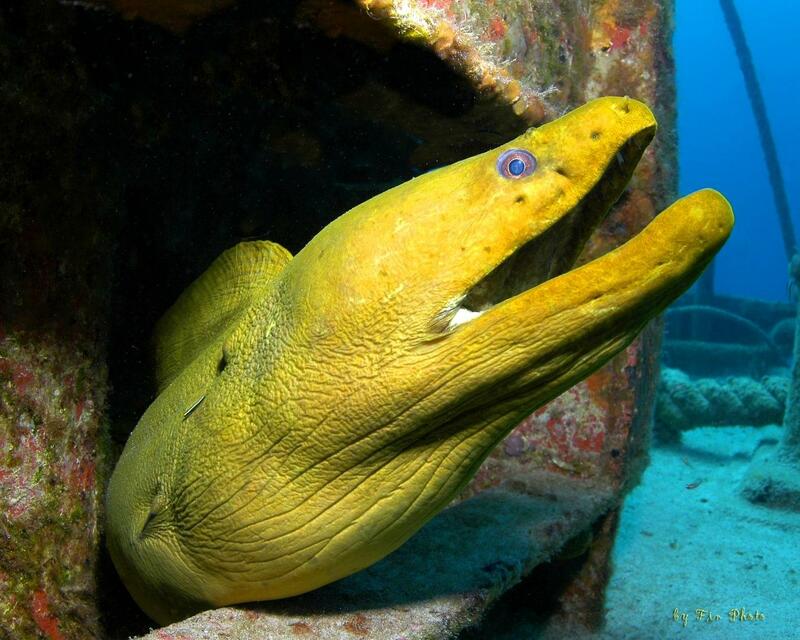 Stuart Cove offers a diverse selection dive sites suitable for novice and expert-level dives alike. 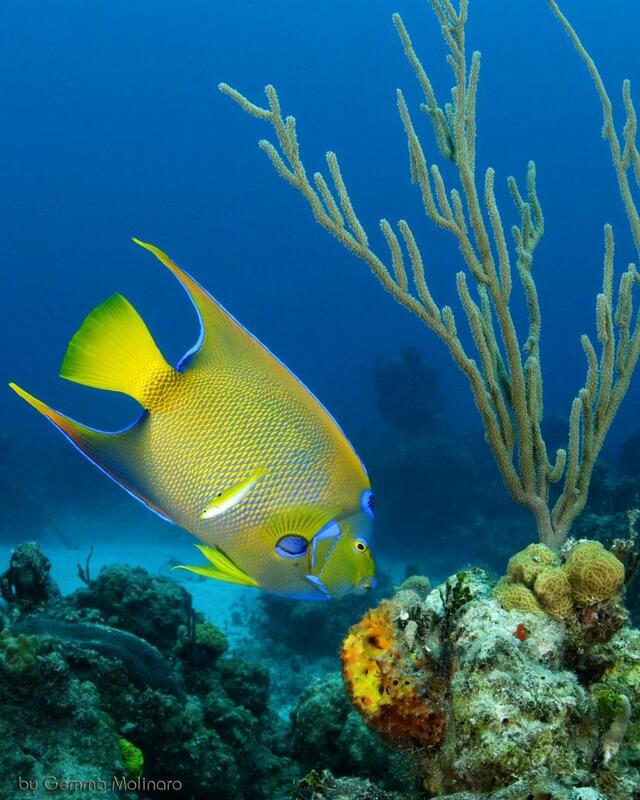 Dive sites encompass steep vertical walls that plummet to 6,000 feet, shallow tropical reefs, 13 different locations containing ship or airplane wrecks and numerous locations that were used as underwater movie sets for feature films. 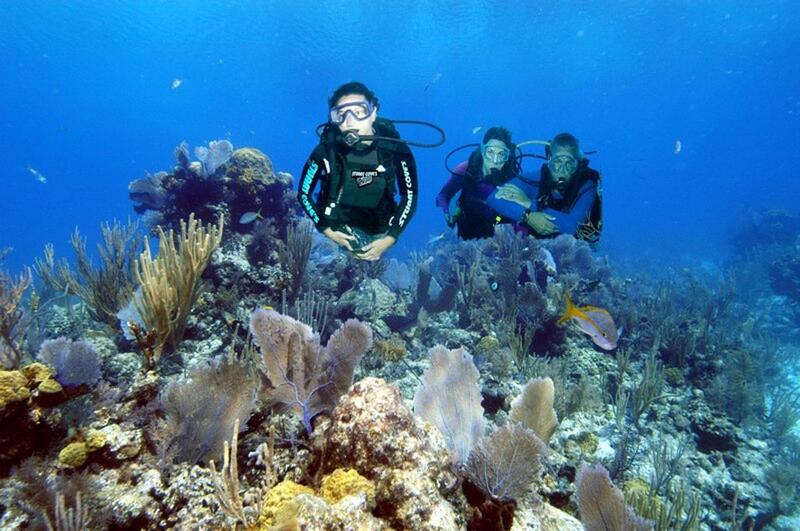 Qualified divers can participate in up to five dives a day. 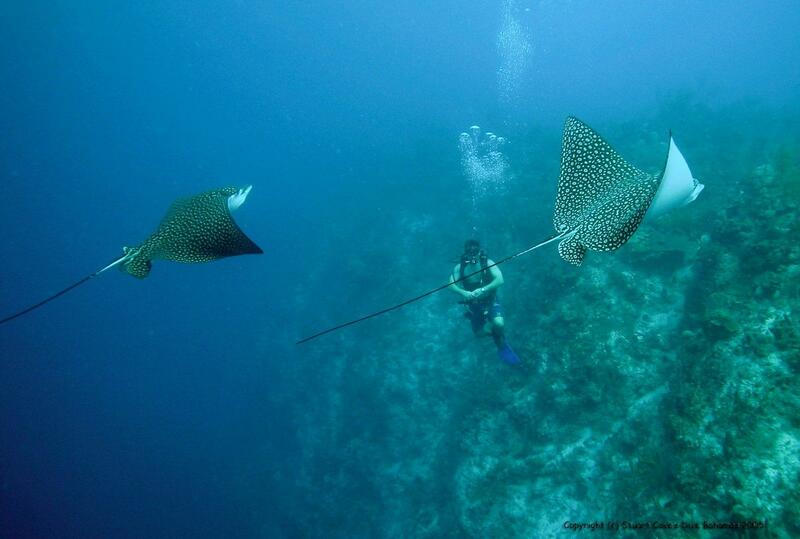 Two dives are offered in the morning, with two additional dives in the afternoon. 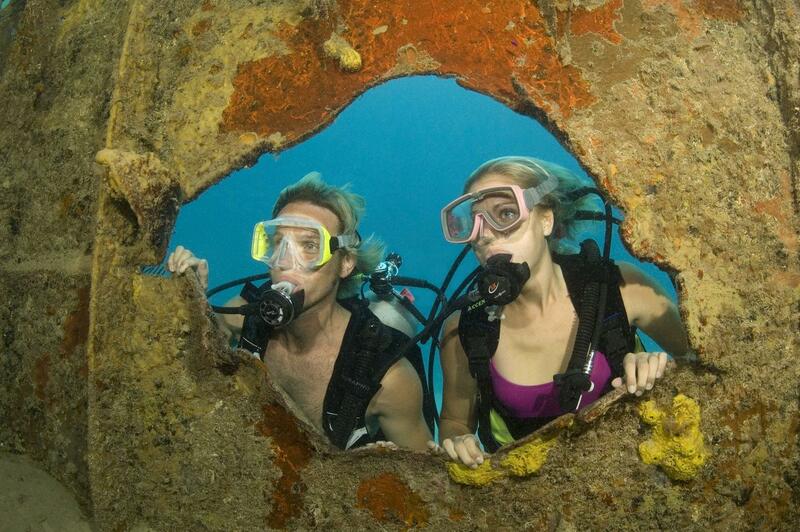 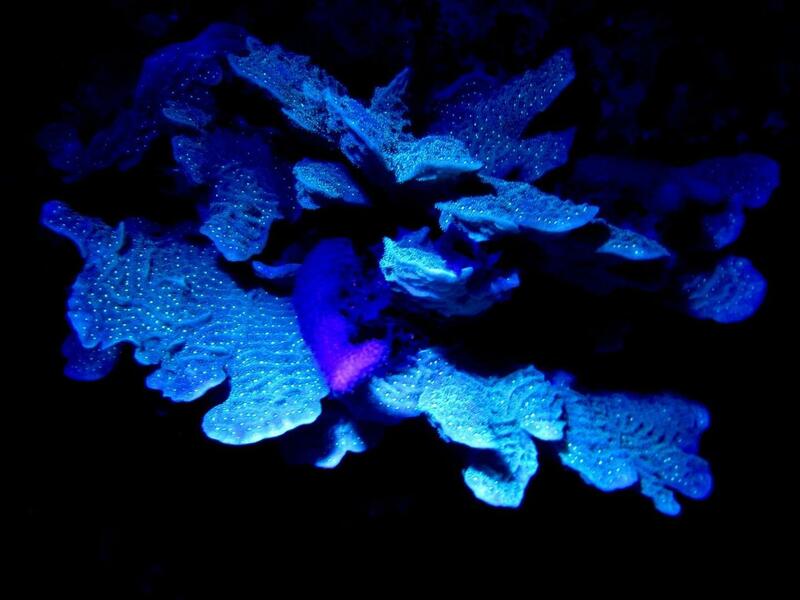 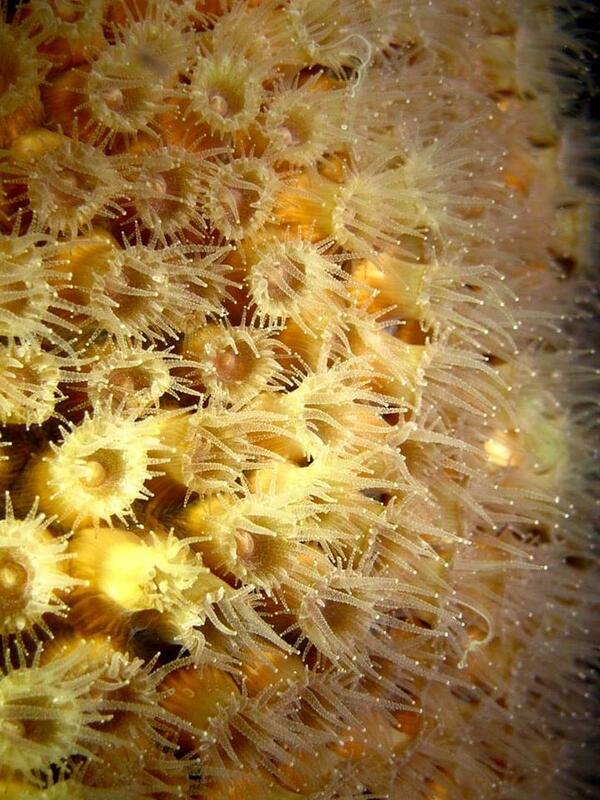 An optional night dive is available on selected evenings as well. 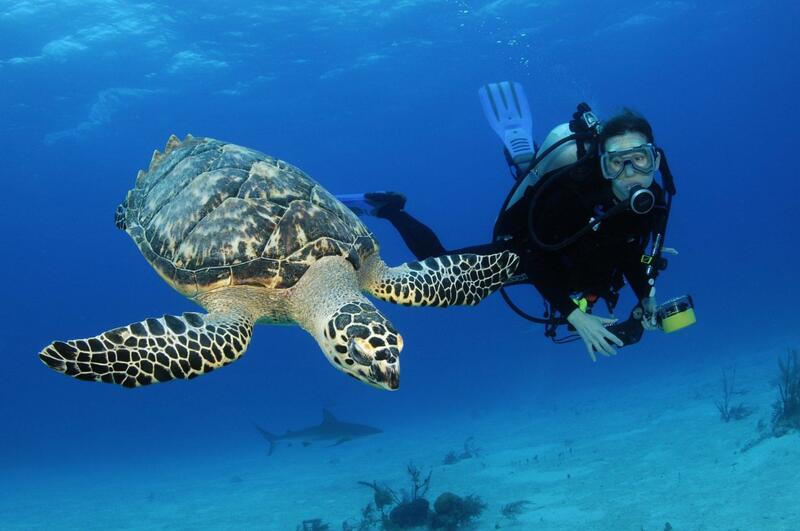 A dive guide is available for all dives, though it is optional as to whether you follow them. 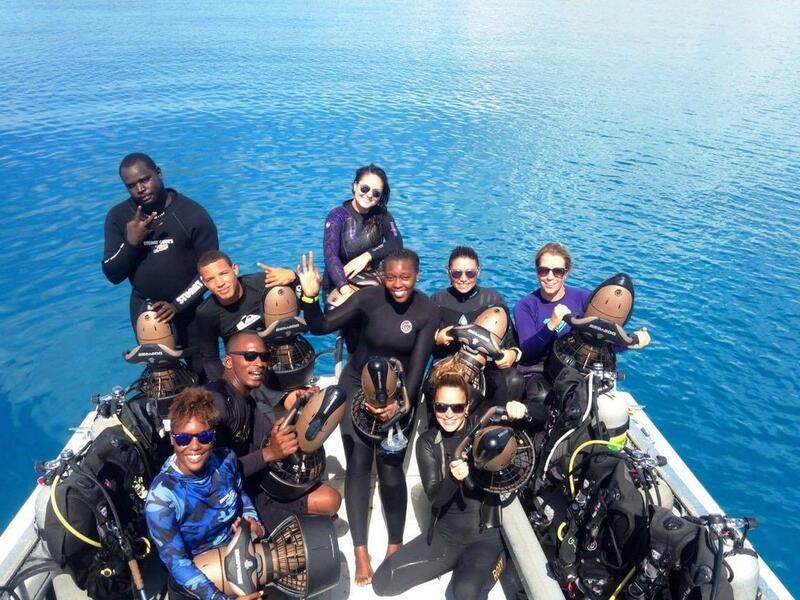 As a qualified diver, you are welcome to buddy up and explore the dive site on yourselves, based on the dive site breifing. 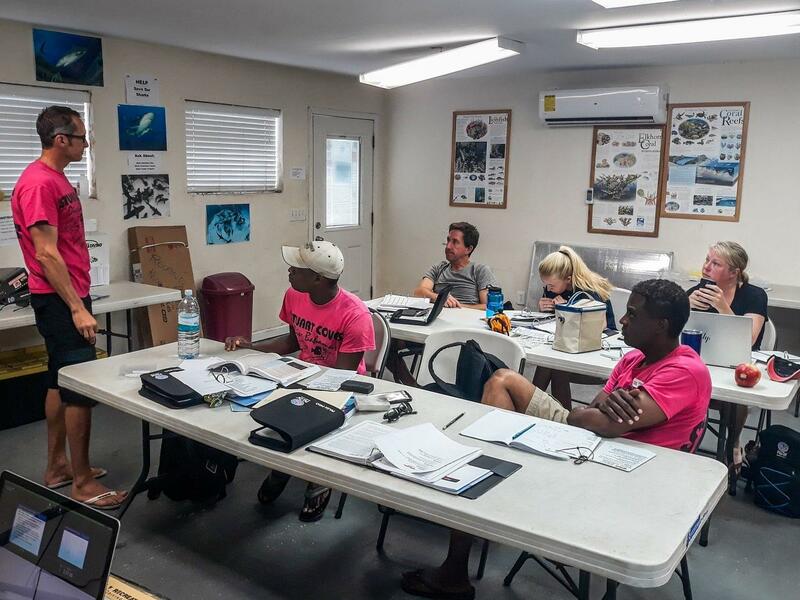 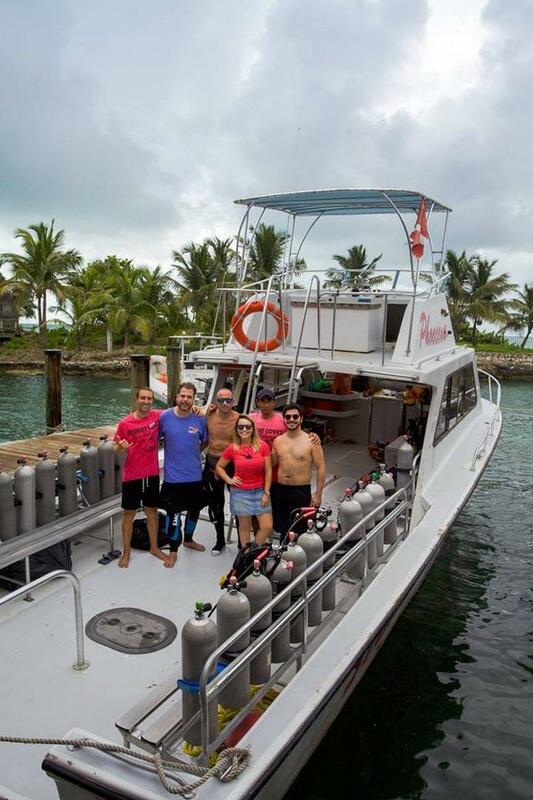 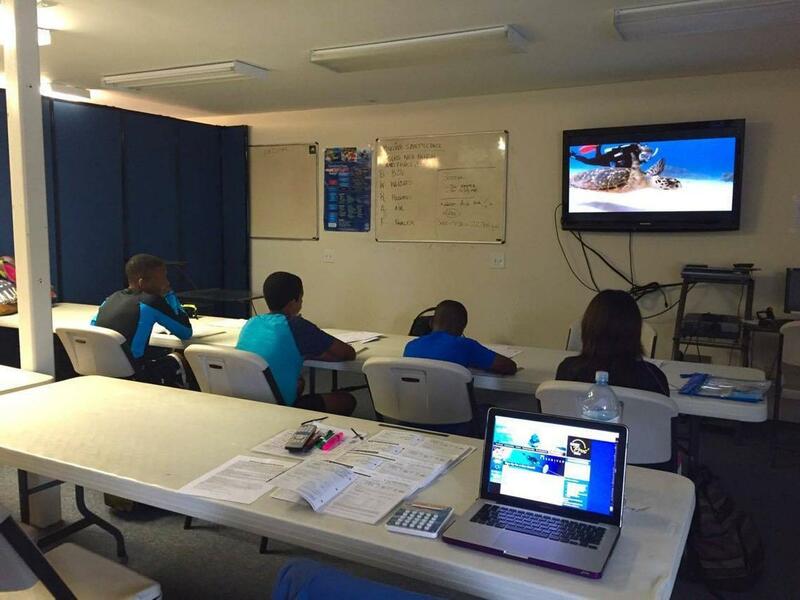 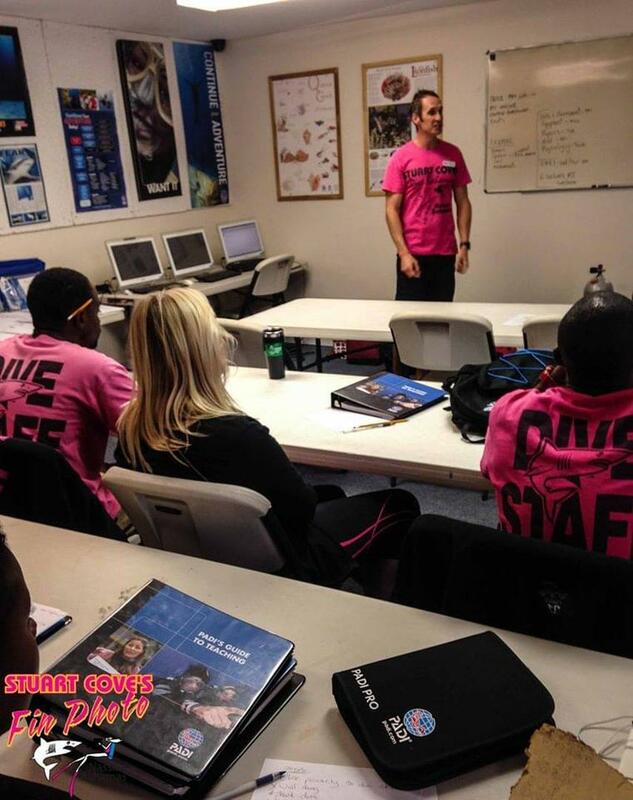 The dive center has state of the art training facilities, a retail boutique, 9 spacious dive boats and a number of smaller RIBs capable of handling 200+ dives per day. 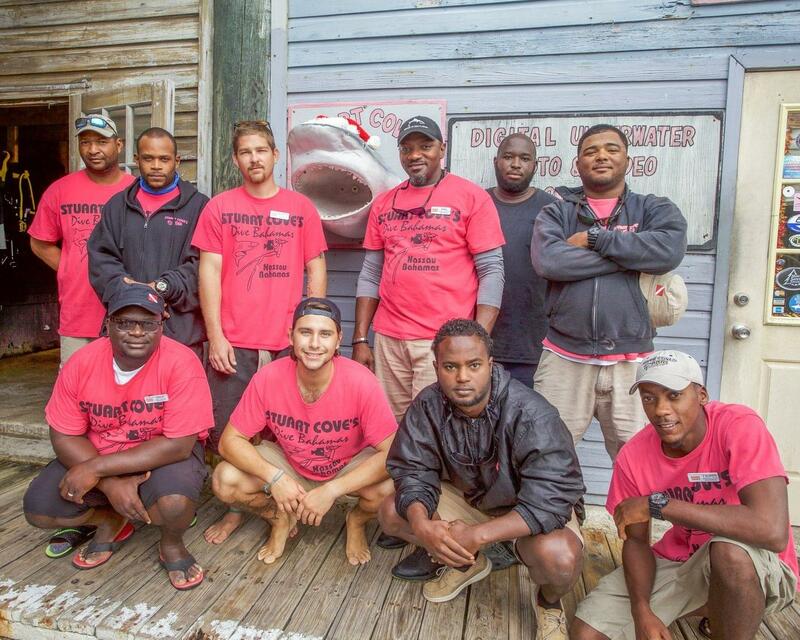 The team is hugely experienced and this is a well-oiled operation. 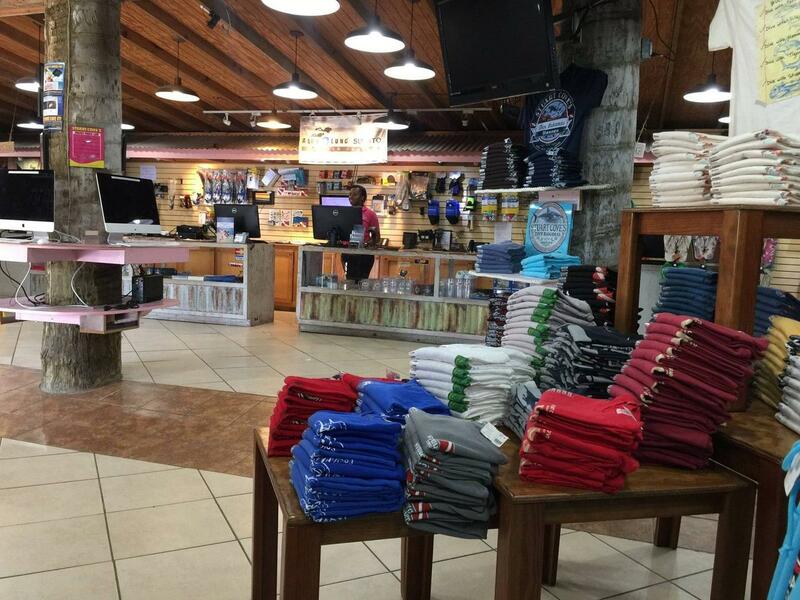 The best airport to fly into is Lynden Pindling International Airport. 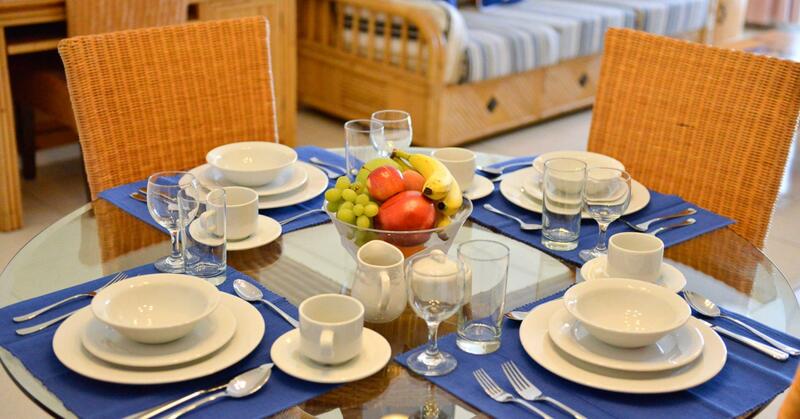 The resort is located 10 minutes' drive from the airport. 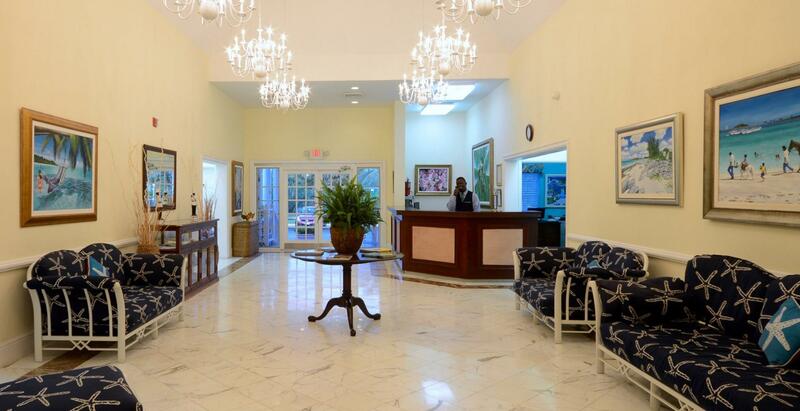 Once you have exited the arrivals hall, you can arrange a taxi to bring you to the resort (additional cost). 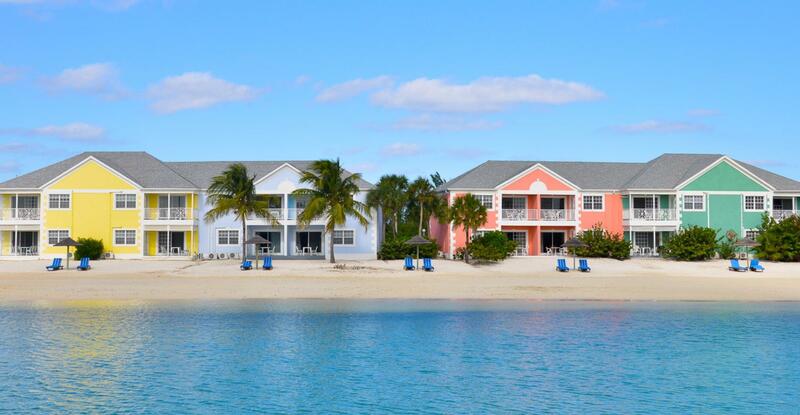 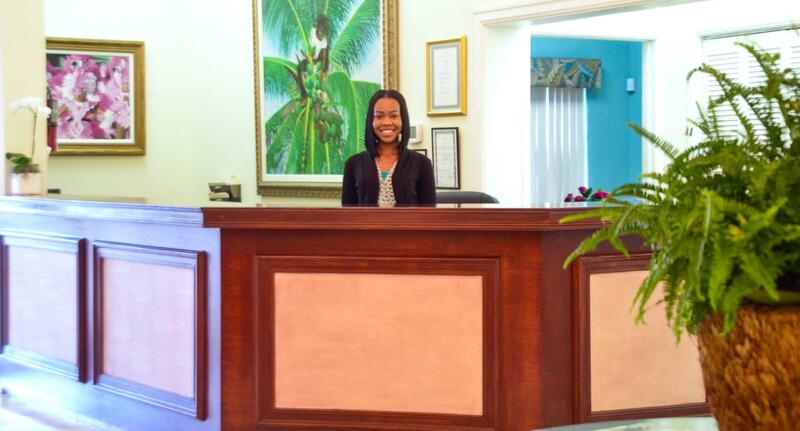 Ask your driver to take you to 'Sandyport Beach Resort on West Bay Street'. 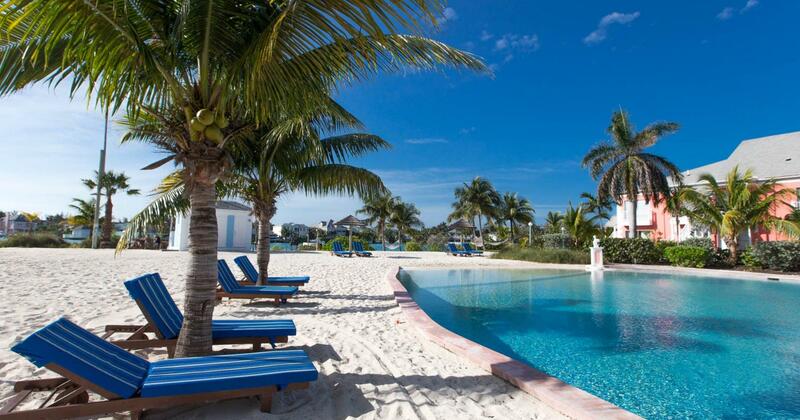 Check in time is 4pm. 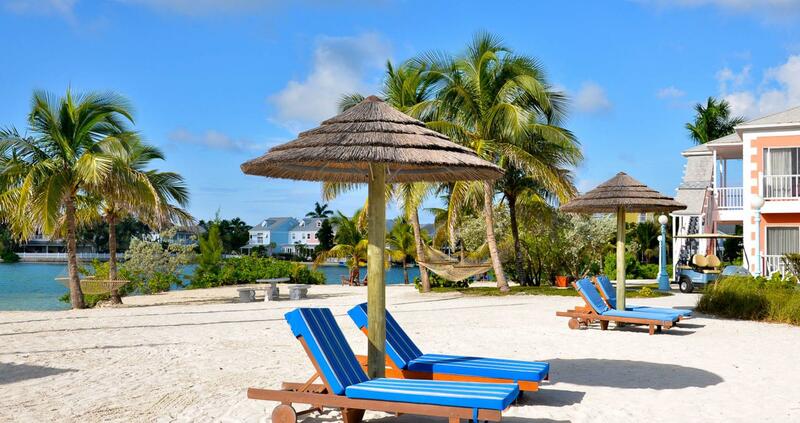 Upon check out, the resort will call a taxi for you to transfer you back to the airport (additional cost). 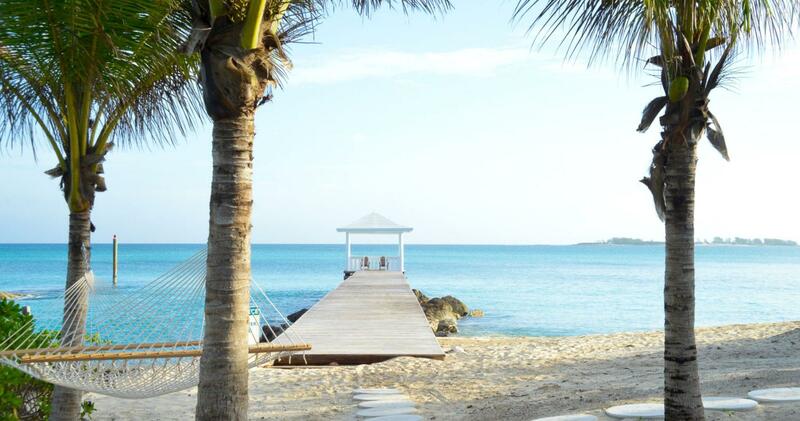 The journey will take 10 minutes.